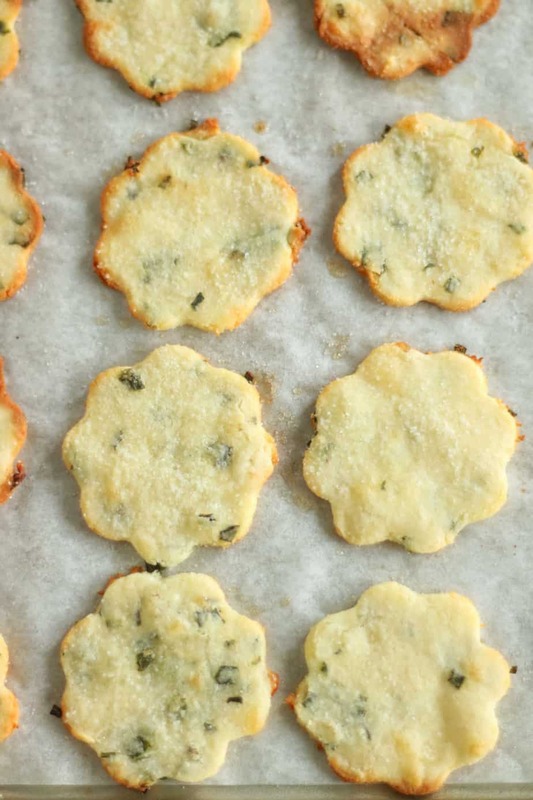 These Deliciously Crunchy Keto Sour Cream and Chive Crackers are Really Easy to Make and Can Be Made In Just Half an Hour. 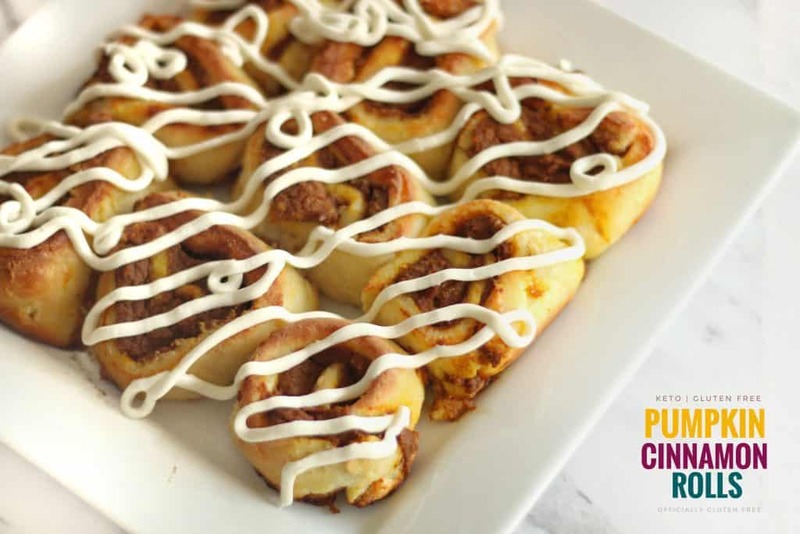 They’re Perfect For Your Favorite Dips, Spreads and Toppings! 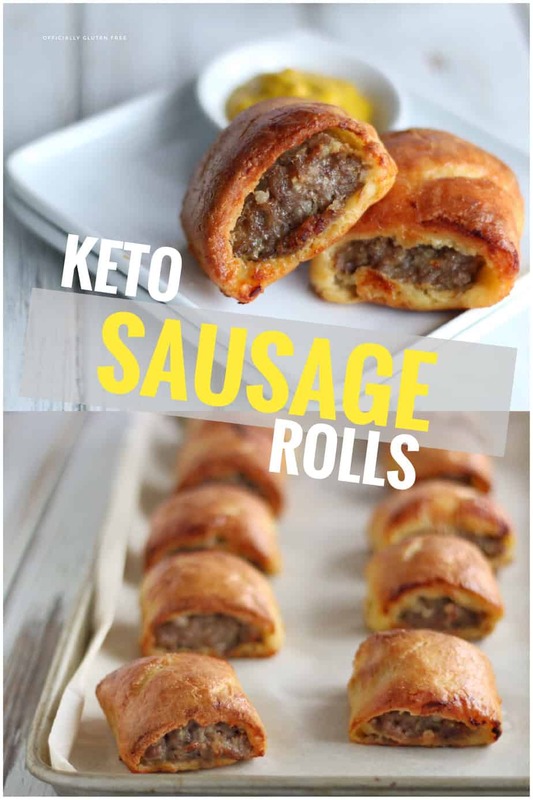 The Best Part is, You’d Never Even Know They’re Low Carb. 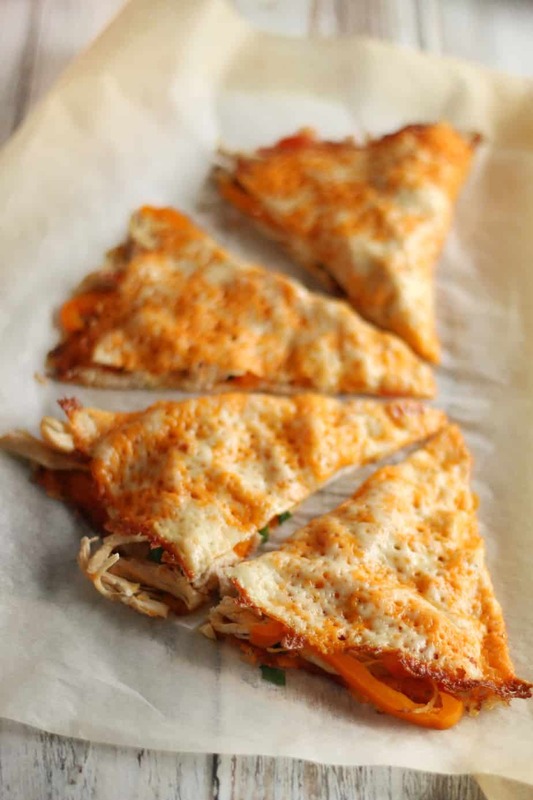 If you love Low Carb Recipes, then you’ll want to try out These 6 Ingredient Gluten Free and Keto Buffalo Chicken Taquitos. 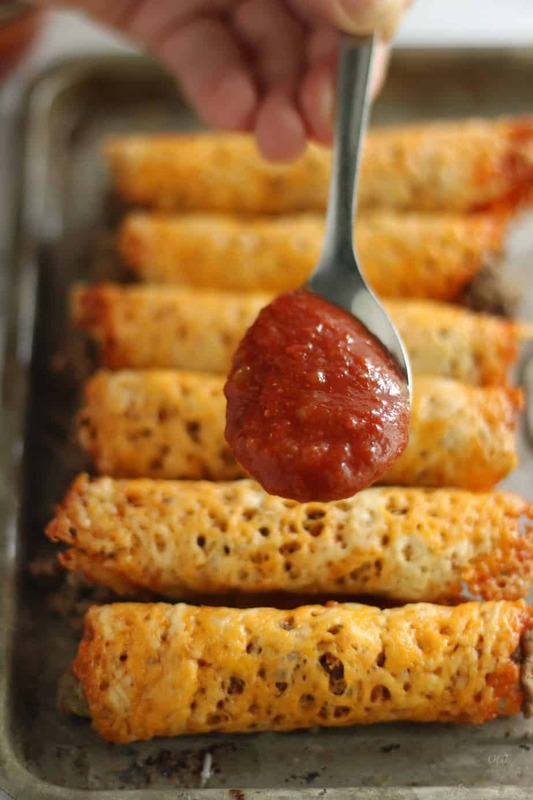 They’re an Incredibly Easy to Make Cheese Shelled Taquito That Tastes Amazing. 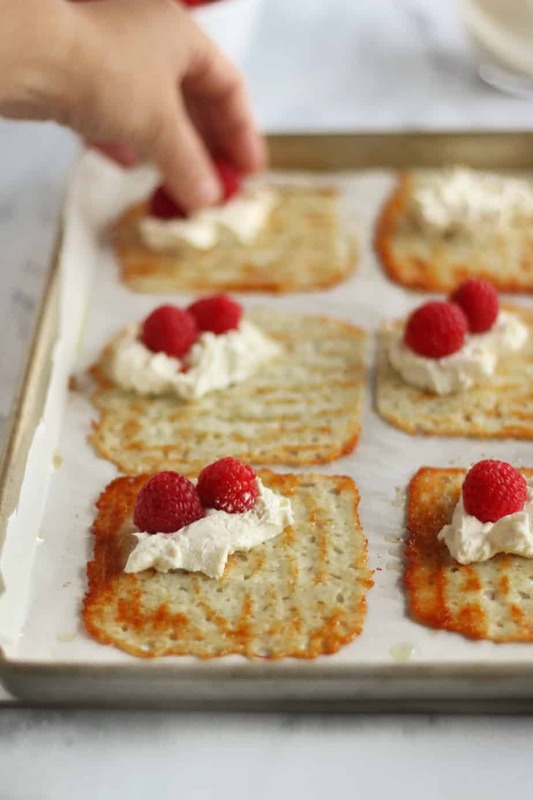 To Make these Delicious Keto Sour Cream and Chive Crackers, you melt the shredded mozzarella in a frying pan over medium heat. Remove from the heat, then add the sour cream. Stir until well combined. 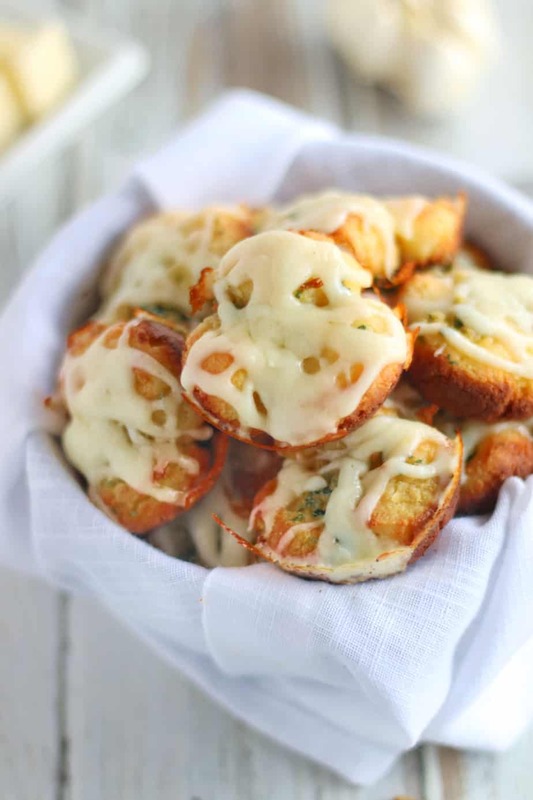 Using a mixing bowl, add the almond flour, coconut flour, egg and chives to the cheese mixture. Mix until well combined. 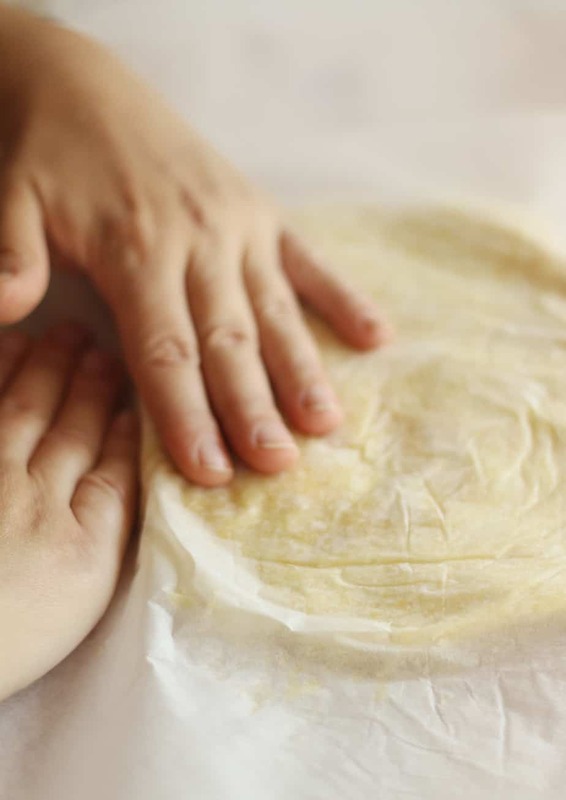 Wrap the dough in plastic wrap, then place in the fridge for 10- 15 minutes. 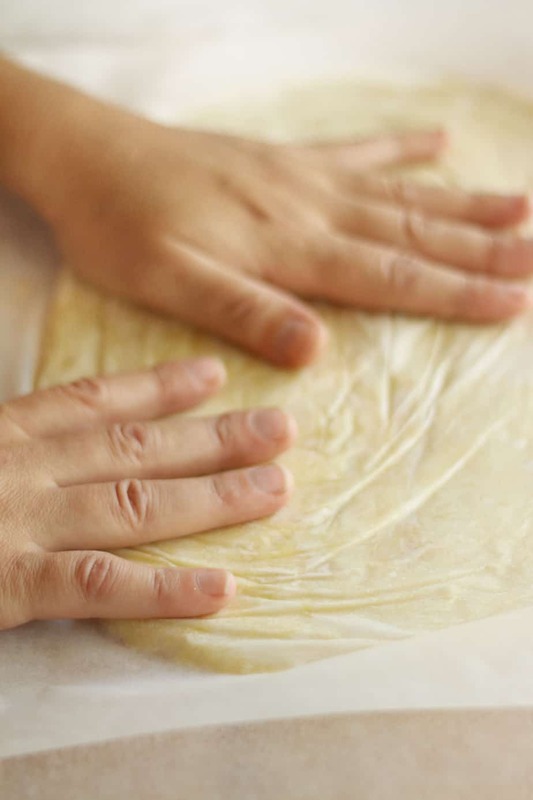 Between 2 pieces of parchment paper, roll the dough very thin using a rolling pin. 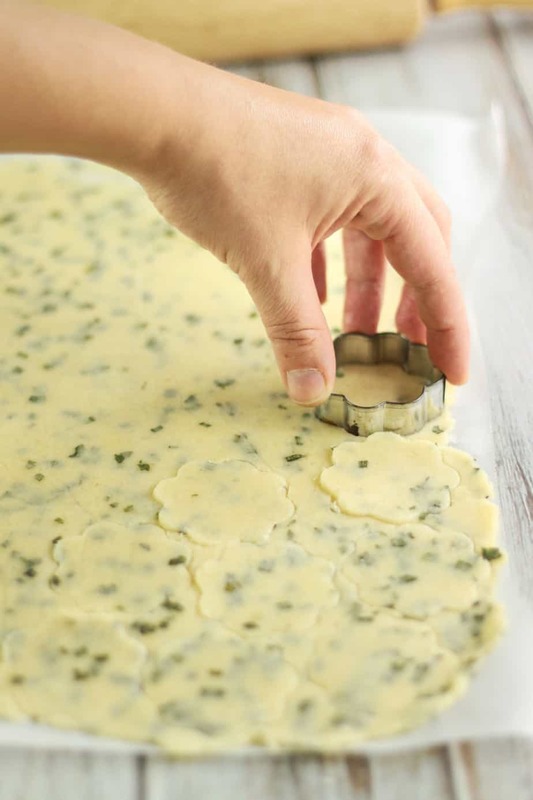 Remove the top piece of parchment paper. 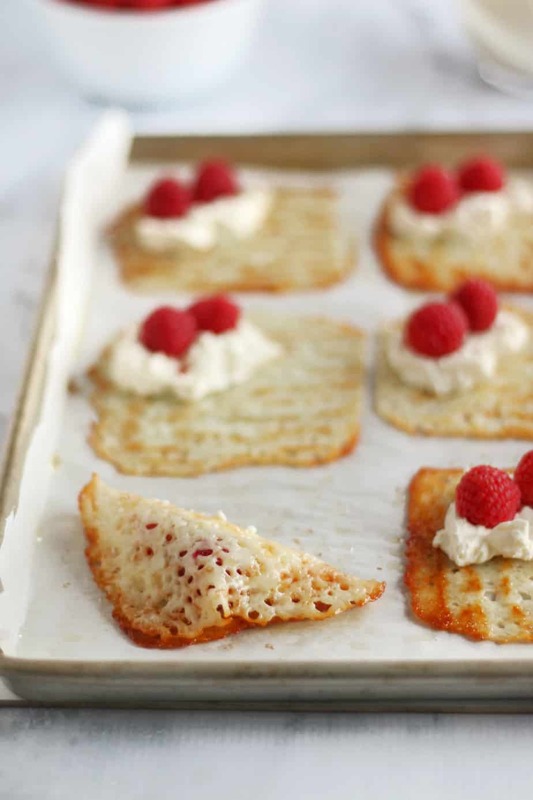 Use a cookie cutter or a knife to cut out shapes. 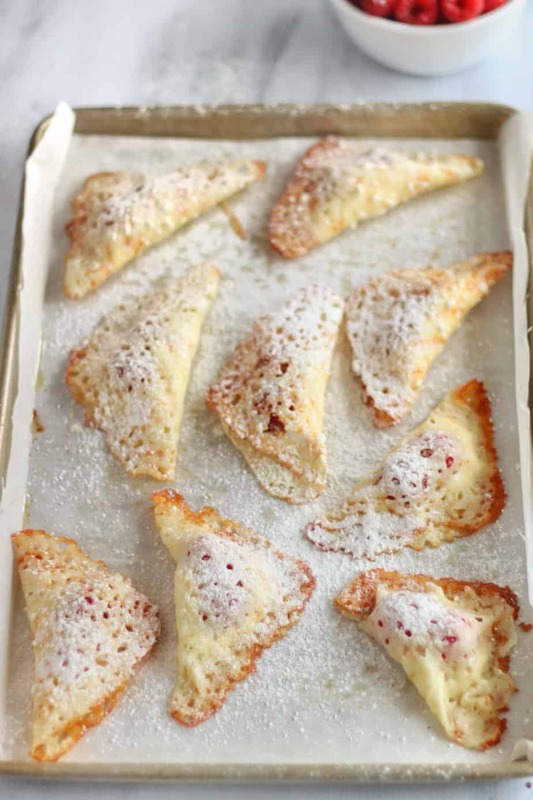 Place the shapes onto a parchment paper lined baking sheet. 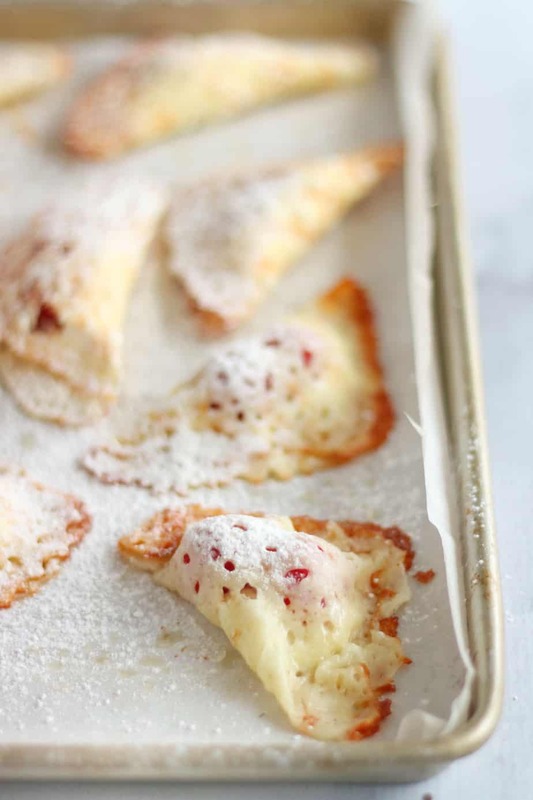 Brush the tops with the melted butter, then sprinkle with salt. 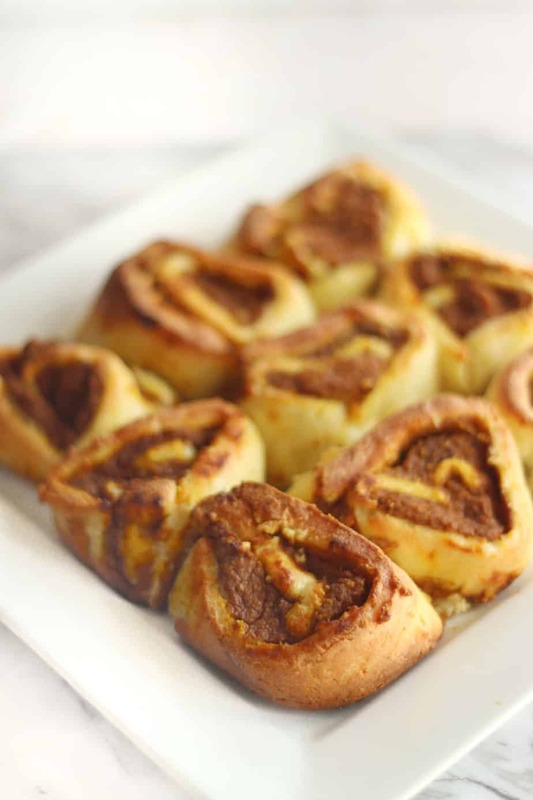 Bake for 8 – 10 minutes. 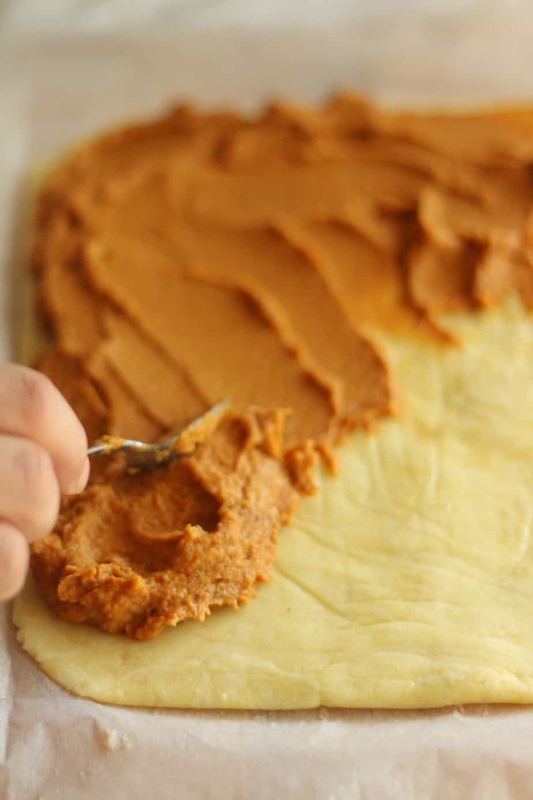 Place the dough scraps back in the fridge for another 10 – 15 minutes before rolling out again. 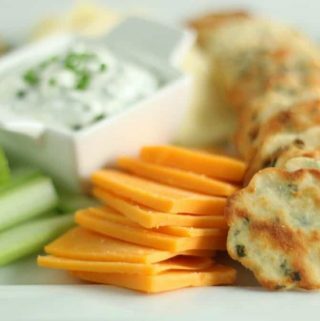 This Recipe For Keto Sour Cream and Chive Crackers is one of my favourite Keto Recipes. 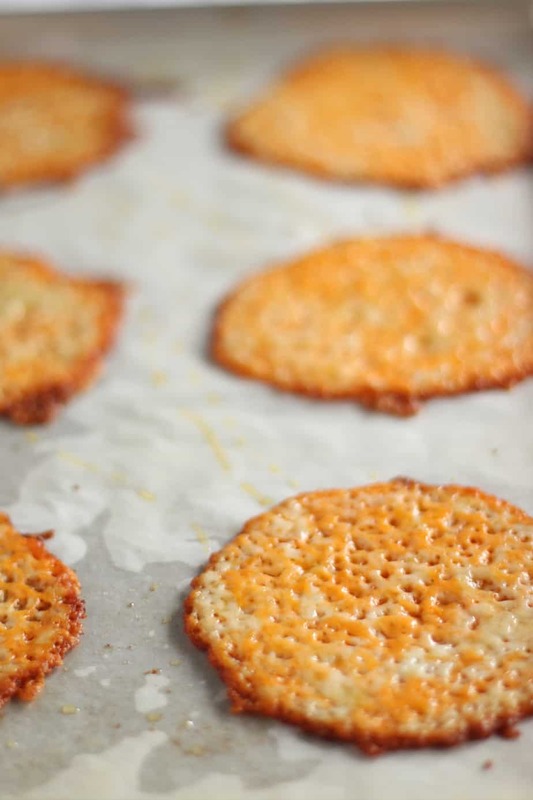 The Crackers are so Satisfying and are a Perfect Low Carb Substitute for Sour Cream and Onion Chips. 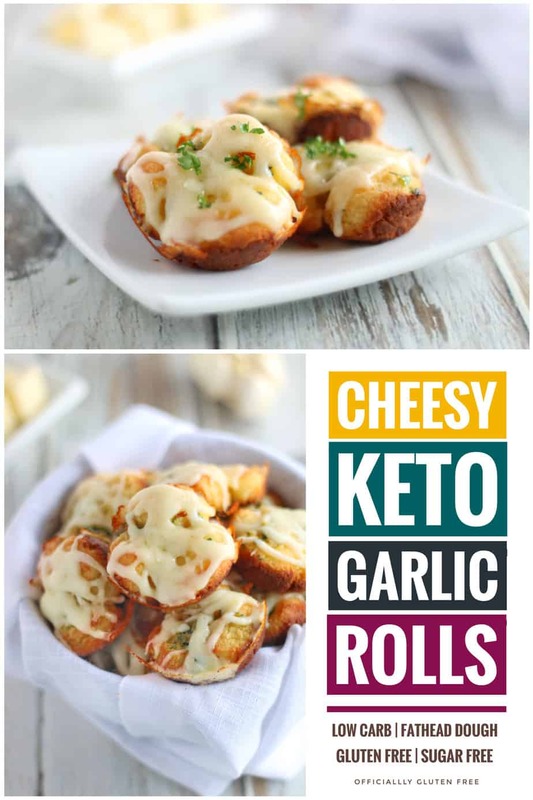 My Family Loves them with Cheddar Cheese Slices or Dipped in one of Our Favourite Low Carb Dips. I used Freeze Dried Chives but you could use Fresh if you Prefer too. I also used a Cookie Cutter to Cut out my Crackers. You could use a Knife to cut out Squares if you’d like to. 1. Pre Heat oven to 400 F. Melt the shredded mozzarella in a frying pan over medium heat. 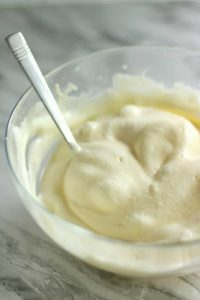 (This step can also be done in a microwave) Remove from the heat, then add the sour cream. Stir until well combined. 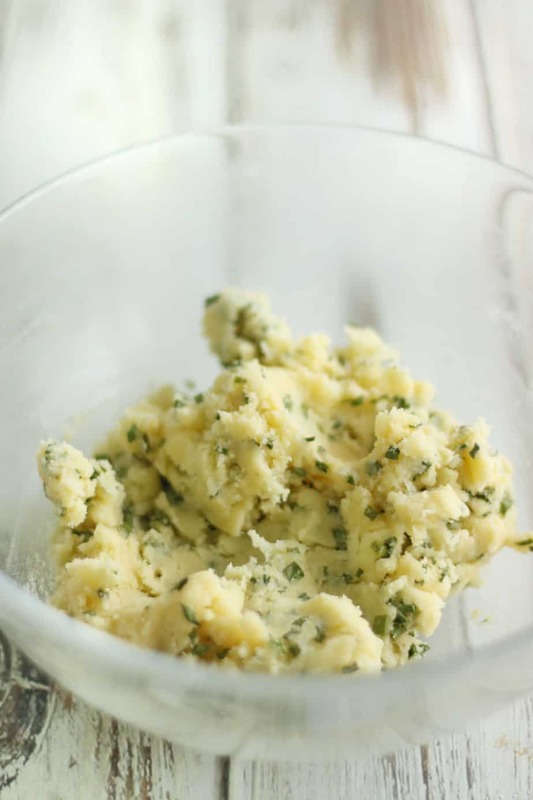 Using a mixing bowl, add the almond flour, coconut flour, egg and chives to the cheese mixture. Mix until well combined. 2. 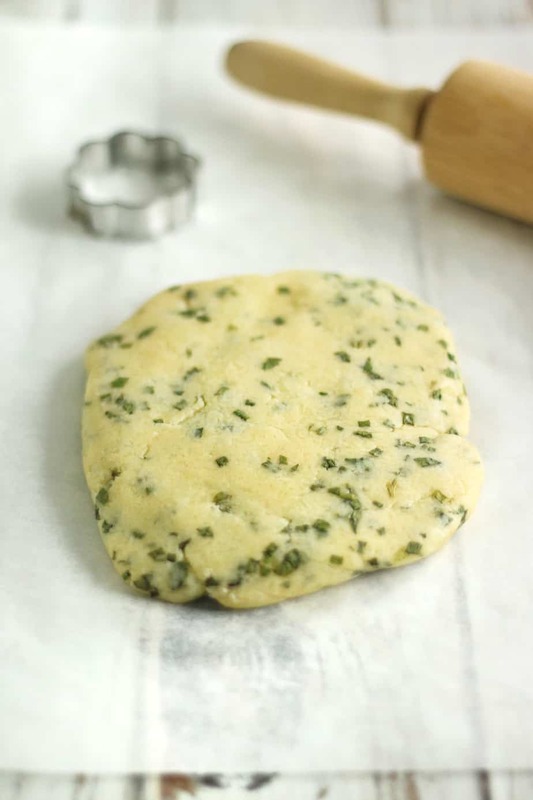 Wrap the dough in plastic wrap, then place in the fridge for 10- 15 minutes. 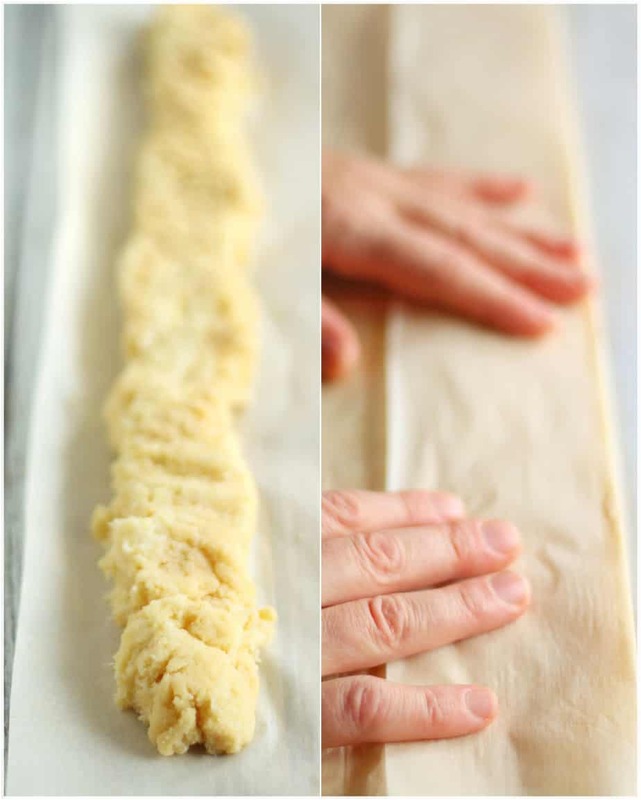 Between 2 pieces of parchment paper, roll the dough very thin using a rolling pin. 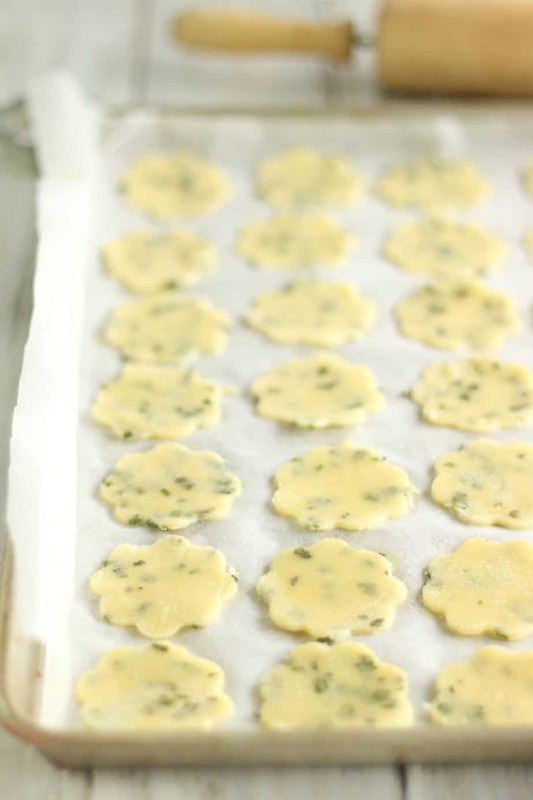 Remove the top piece of parchment paper. 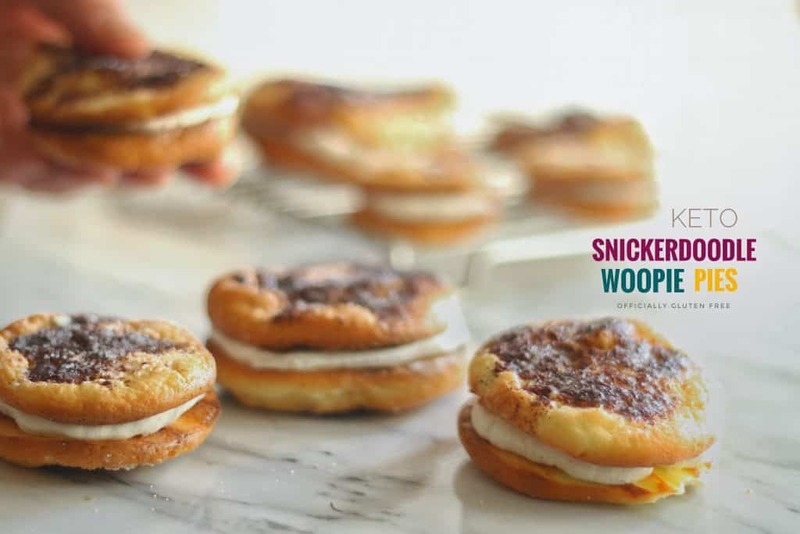 Note: Make Sure to Use Parchment Paper NOT Wax Paper. 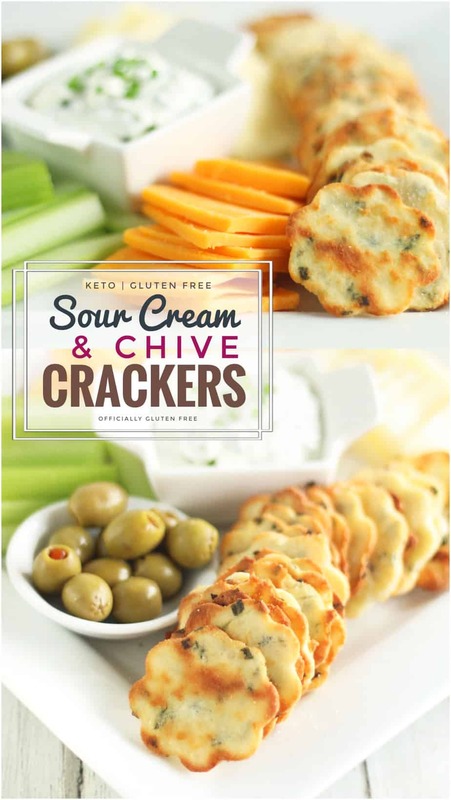 These Deliciously Crunchy Keto Sour Cream and Chive Crackers are Really Easy to Make and Can Be Made In Just Half an Hour. 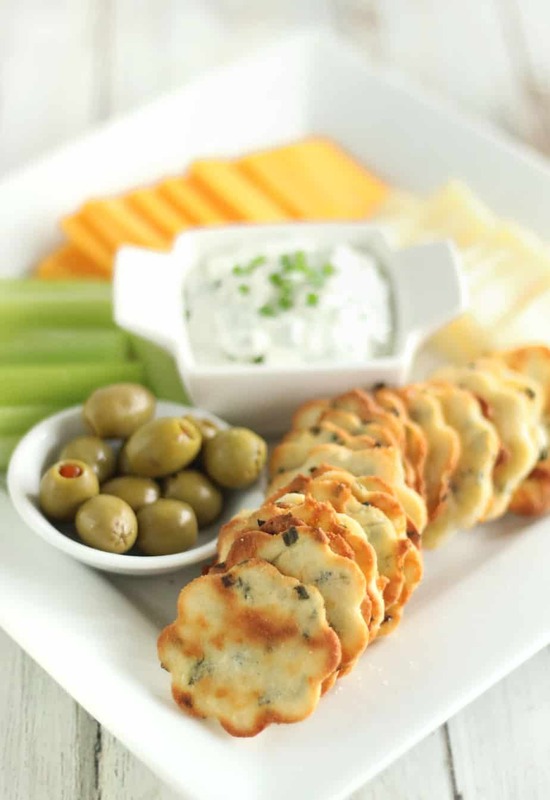 They're Perfect For Your Favorite Dips, Spreads and Toppings! Pre Heat oven to 400 F. Melt the shredded mozzarella in a frying pan over medium heat. 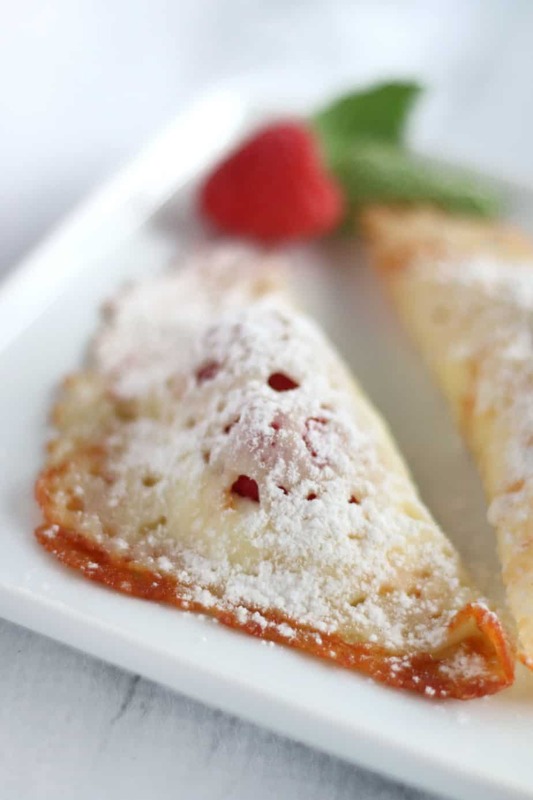 (This step can also be done in a microwave) Remove from the heat, then add the sour cream. Stir until well combined. 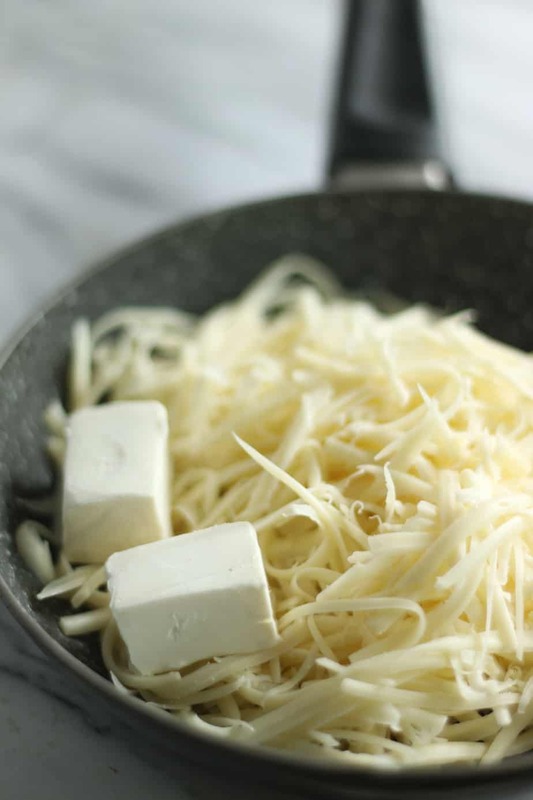 Using a mixing bowl, add the almond flour, coconut flour, egg and chives to the cheese mixture. Mix until well combined. 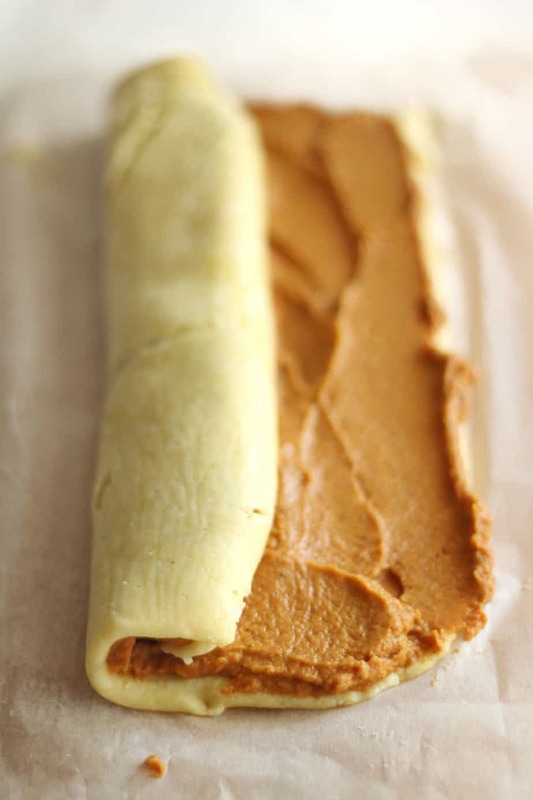 Wrap the dough in plastic wrap, then place in the fridge for 10- 15 minutes. 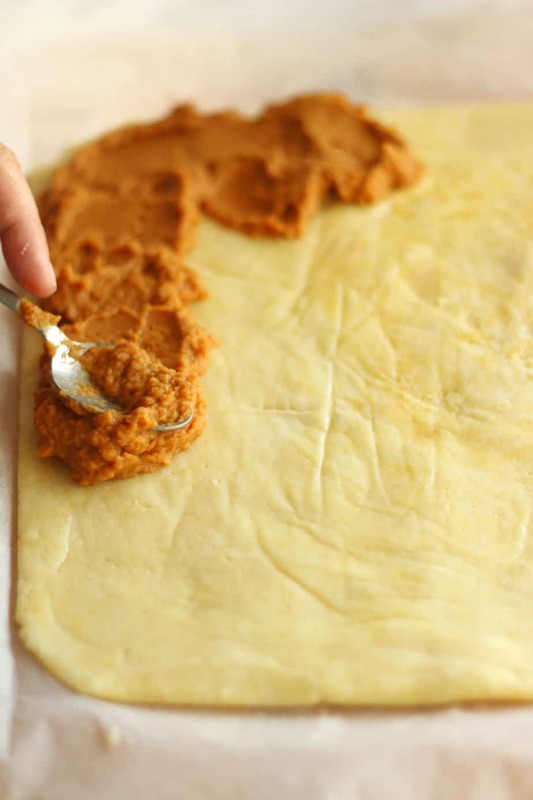 Between 2 pieces of parchment paper, roll the dough very thin using a rolling pin. 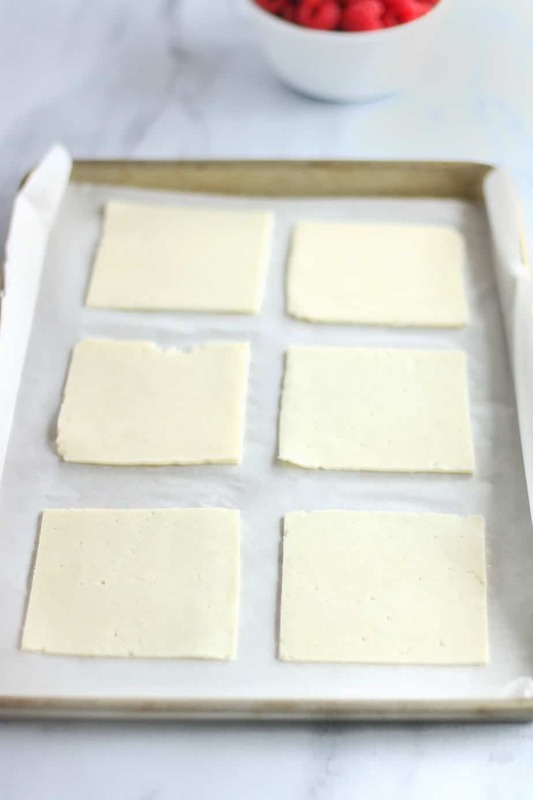 Remove the top piece of parchment paper. 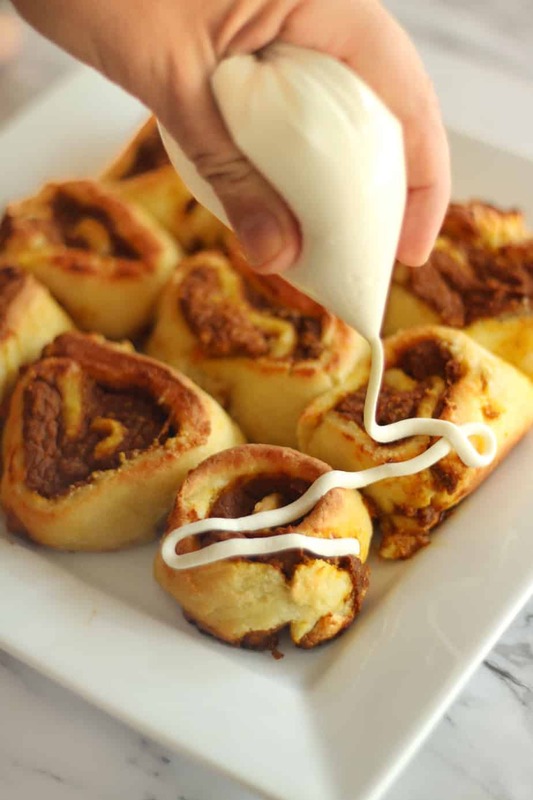 Note: Make sure to Parchment Paper NOT Wax Paper. 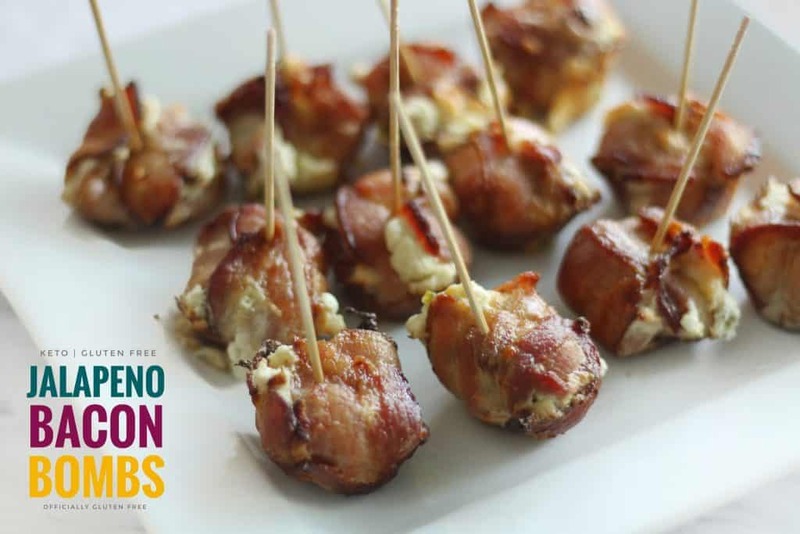 These Creamy Keto & Gluten Free Jalapeno Bacon Bombs are Perfect for Game Day!!!! 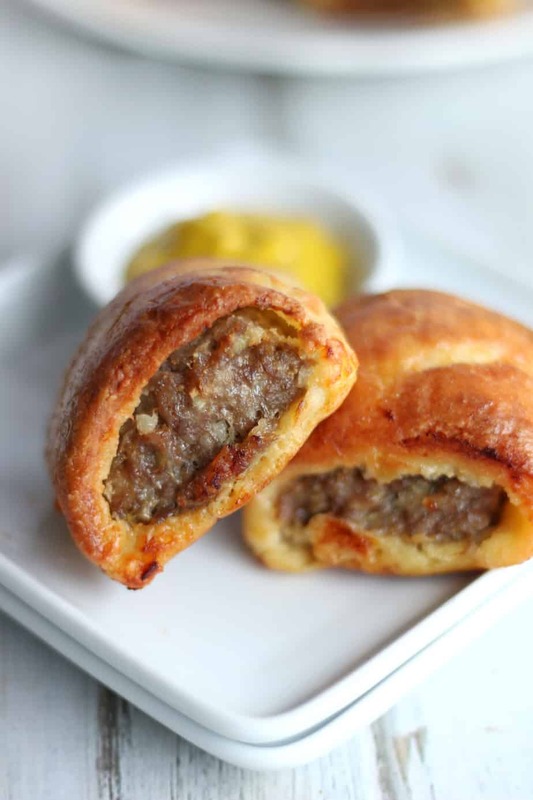 The Tasty Little Morsels are Really Easy to Make and are Packing Just the Right Amount of Heat. 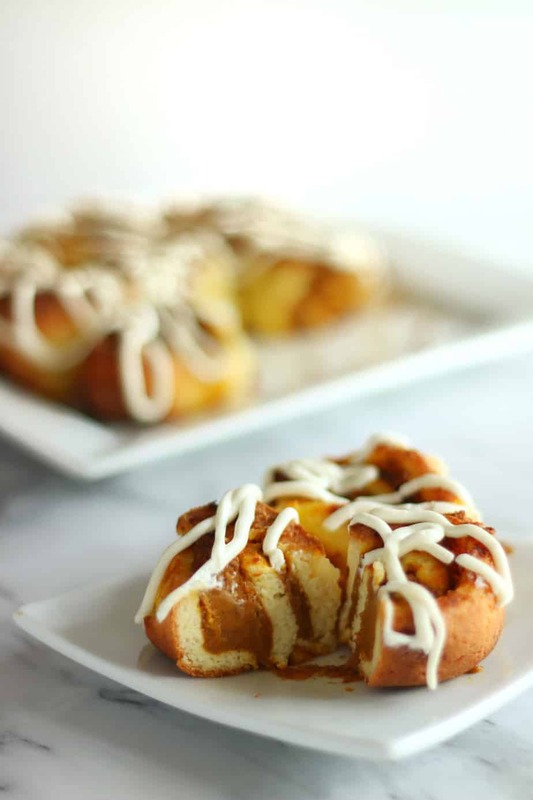 They Can Be Made Ahead of Time, Which Makes Preparing for Game Day that Much Easier. 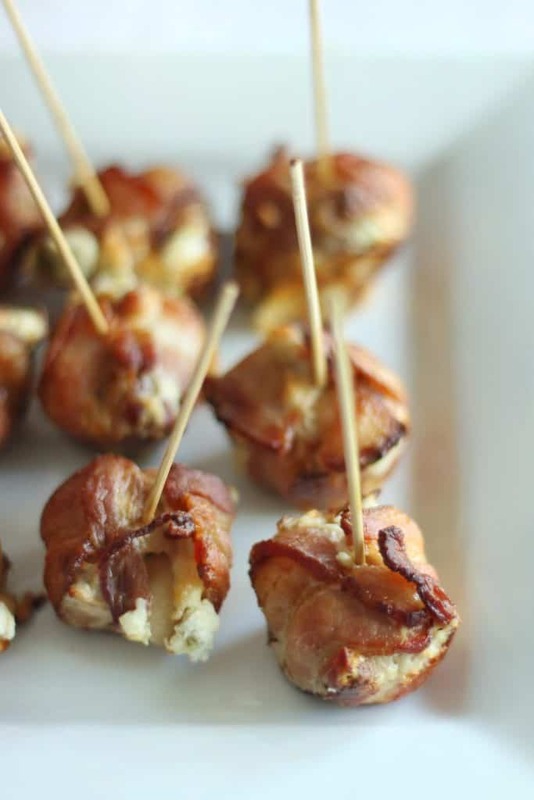 I found these Jalapeno Bacon Bombs are nice change from Bacon Wrapped Jalapeños but Equally as Tasty! In a small bowl mix the softened cream cheese with the diced pickled jalapeños and the shredded havarti cheese. Mix until well combined then set aside. 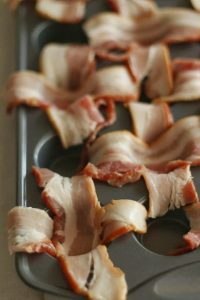 Cut the bacon slices in half then lay them in a t shape using a mini muffin pan or baking pan. 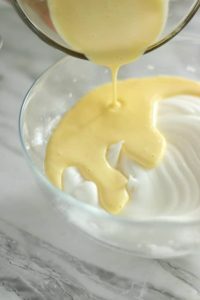 Place 1 Tbsp of the jalapeno cream cheese mixture onto the centre of the t’s. 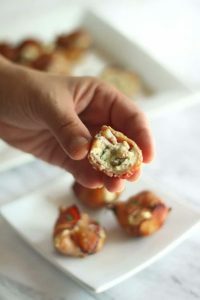 Tightly wrap the edges of the bacon over the cream cheese, then use a tooth pick to secure it. 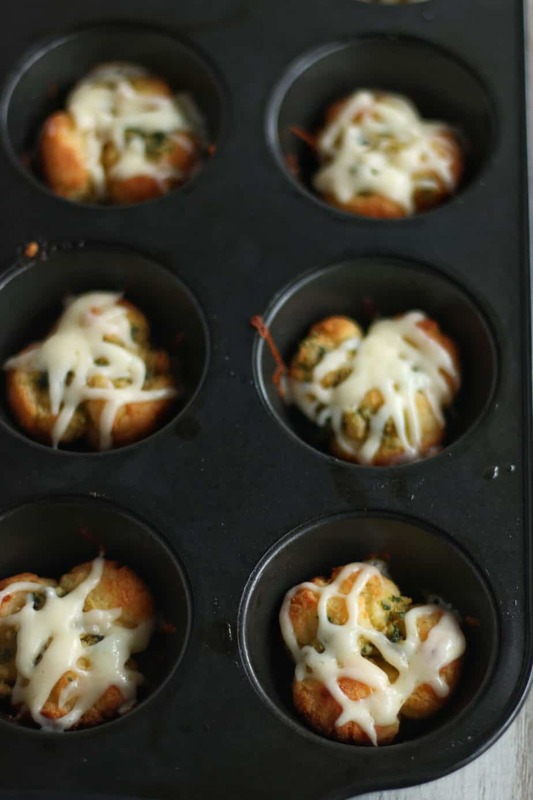 If using a mini muffin pan – Bake for 5 – 7 minutes – then transfer to a baking pan and bake for another 20 -25 minutes or until the bacon is crispy. 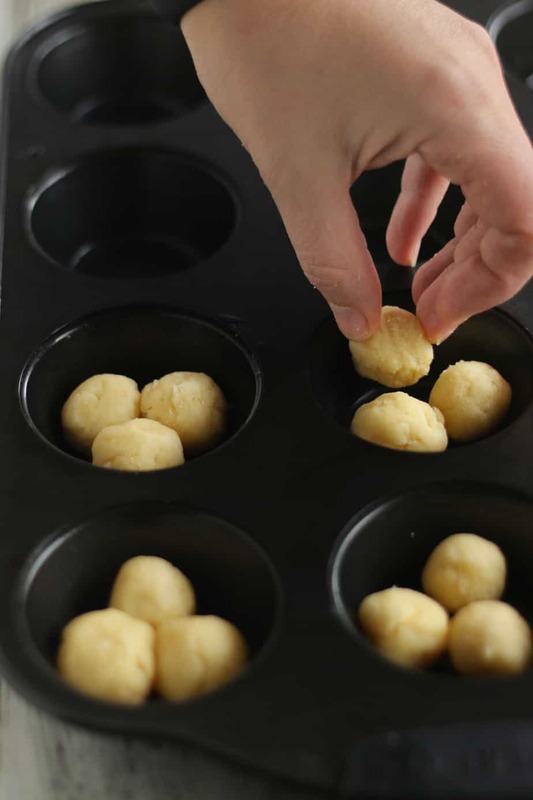 ( The mini muffin pan is help keep their shape but this step can be skipped) Drain off the fat a few times throughout baking. 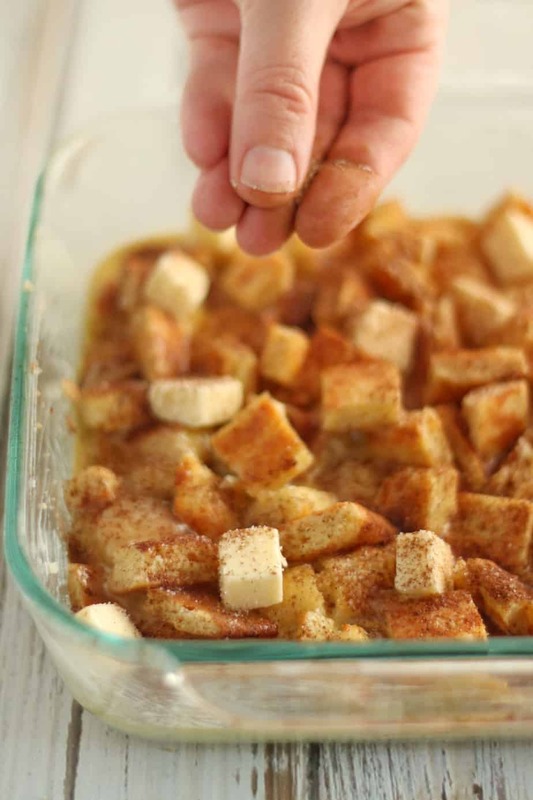 If you’re using a baking pan bake for 25 -30 minutes, turning them a few times throughout, also pour off the grease when turning. 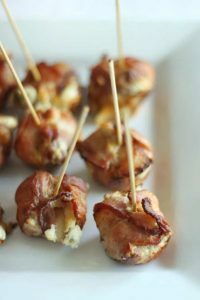 To make these Jalapeno Bacon Bombs I used Pickled Jalapenos. I used them because I prefer the taste and texture. 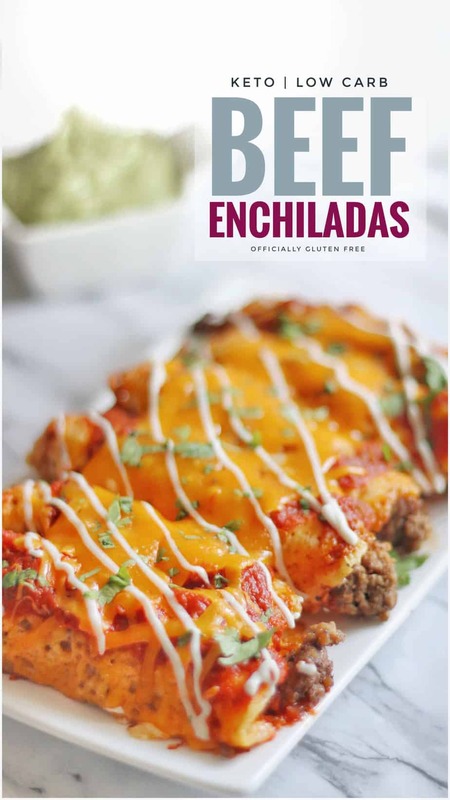 You could use fresh Jalapeños instead. 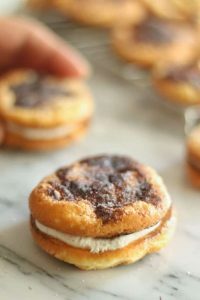 I would roast them in the oven a little before adding them to the cream cheese. Also you could use Mozzarella Cheese instead of Havarti if you’d like to. 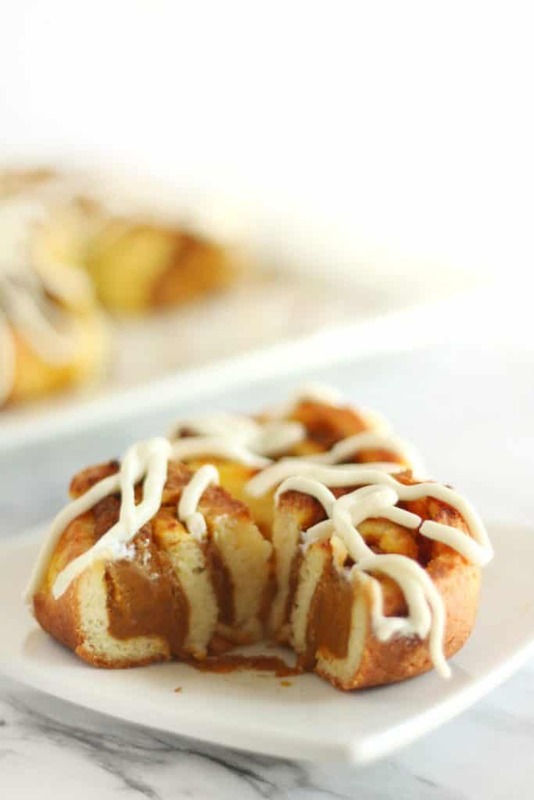 I used a mini muffin pan to help them keep they’re shape. I only used the muffin pan for the first 5 minutes or so of baking so that the would hold they’re shape a bit better. 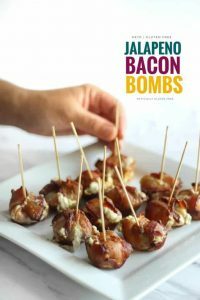 I then moved the bacon bombs to a baking pan to finish baking. This just made it a bit easier to pour off the grease. 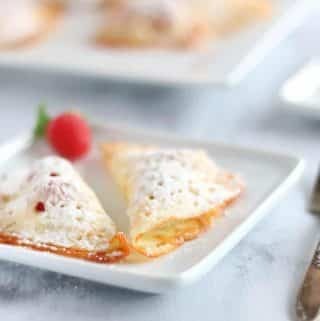 You could easily skip this step and bake them in a baking pan from the beginning, if you prefer too. 1. Preheat oven to 400 F. Then in a small bowl mix the softened cream cheese with the diced pickled jalapeños and the shredded havarti cheese. Mix until well combined then set aside. 2. 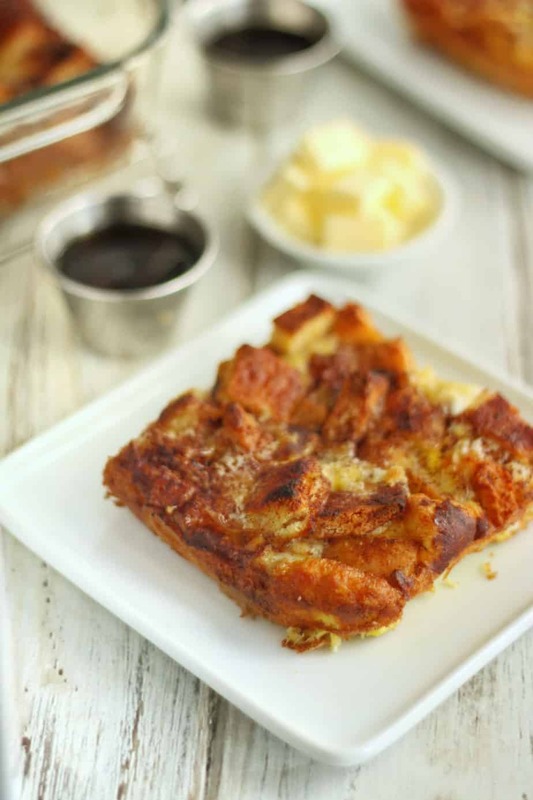 Cut the bacon slices in half then lay them in a t shape using a mini muffin pan or baking pan. Place 1 Tbsp of the jalapeno cream cheese mixture onto the centre of the t’s. 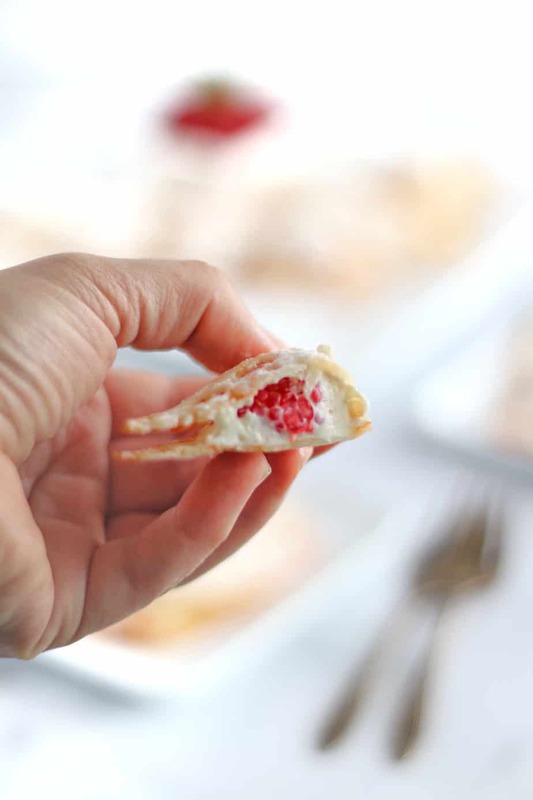 Tightly wrap the edges of the bacon over the cream cheese, then use a tooth pick to secure it. 3. 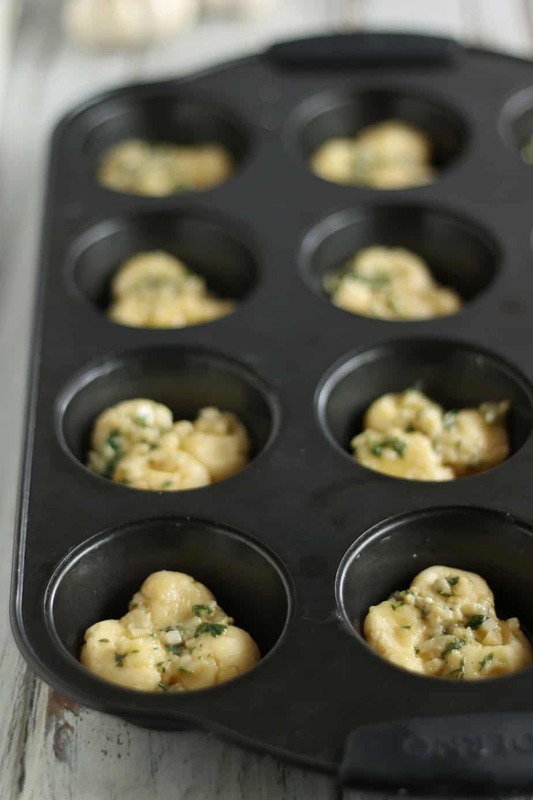 If using a mini muffin pan – Bake for 5 – 7 minutes – then transfer to a baking pan and bake for another 20 -25 minutes or until the bacon is crispy. 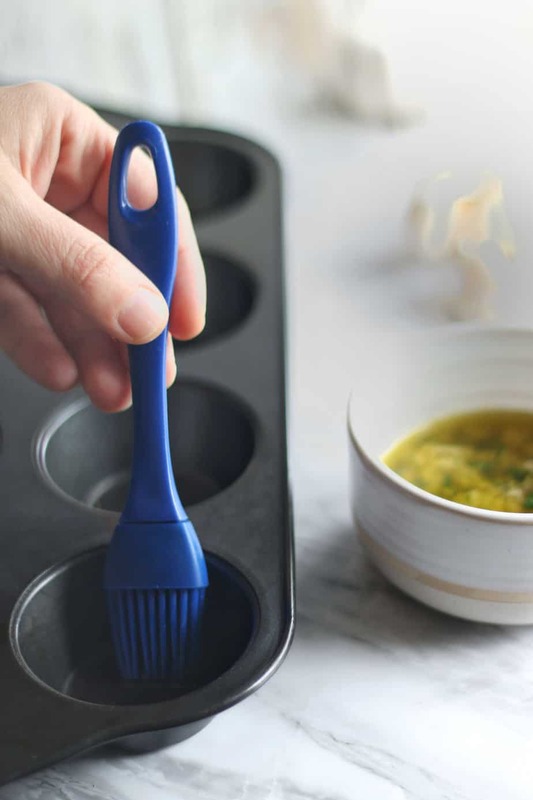 ( The mini muffin pan is help keep their shape but this step can be skipped) Drain off the fat a few times throughout baking. 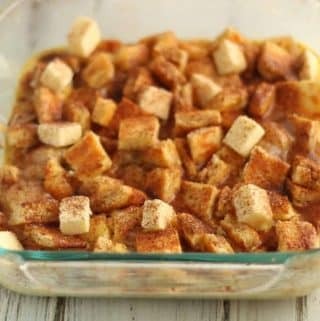 If you’re using a baking pan bake for 25 -30 minutes, turning them a few times throughout, also pour off the grease when turning. 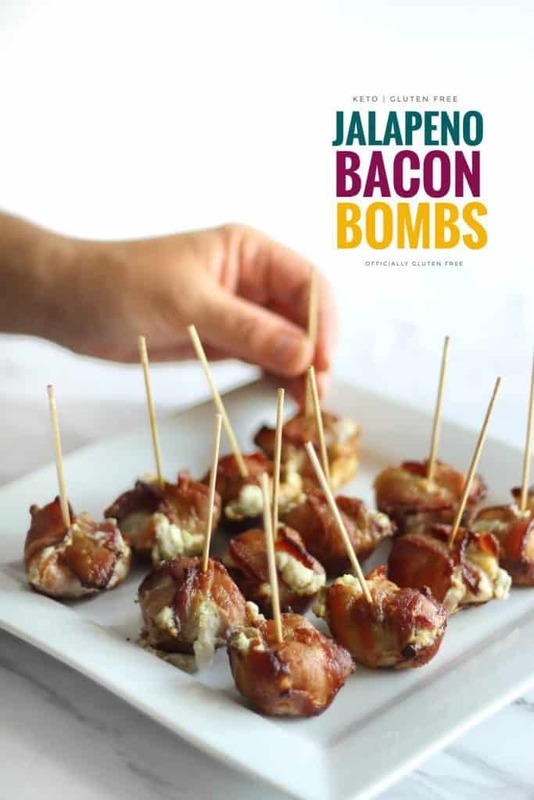 This recipe makes 12 Jalapeno Bacon Bombs. Preheat oven to 400 F. Then in a small bowl mix the softened cream cheese with the diced pickled jalapeños and the shredded havarti cheese. Mix until well combined then set aside. 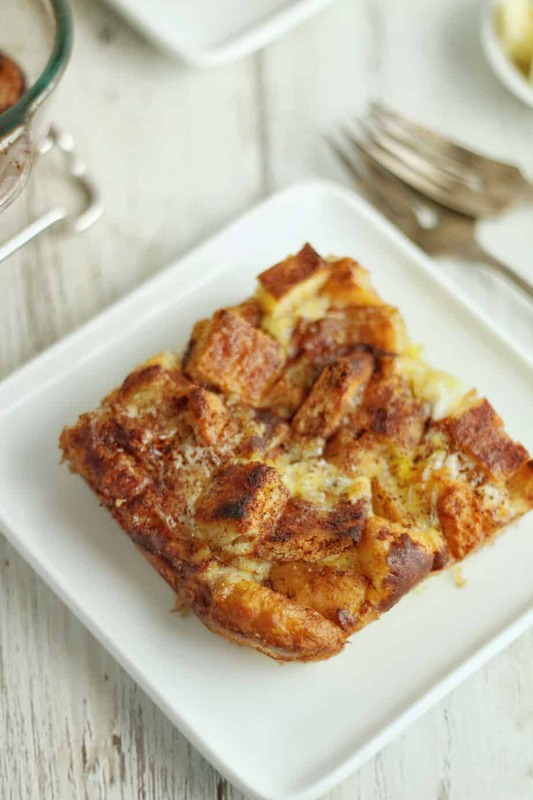 Cut the bacon slices in half then lay them in a t shape using a mini muffin pan or baking pan. 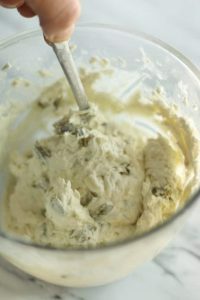 Place 1 Tbsp of the jalapeno cream cheese mixture onto the centre of the t's. 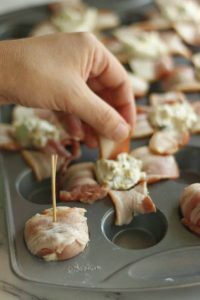 Tightly wrap the edges of the bacon over the cream cheese, then use a tooth pick to secure it. 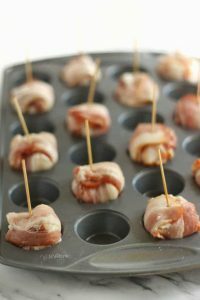 If using a mini muffin pan - Bake for 5 - 7 minutes - then transfer to a baking pan and bake for another 20 -25 minutes or until the bacon is crispy. 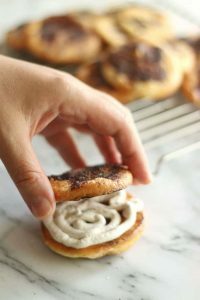 ( The mini muffin pan is help keep their shape but this step can be skipped) Drain off the fat a few times throughout baking. 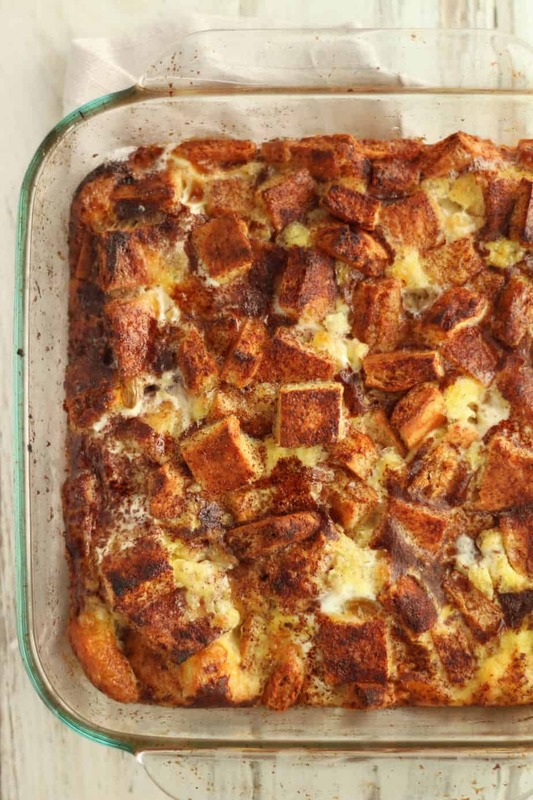 If you're using a baking pan bake for 25 -30 minutes, turning them a few times throughout, also pour off the grease when turning. 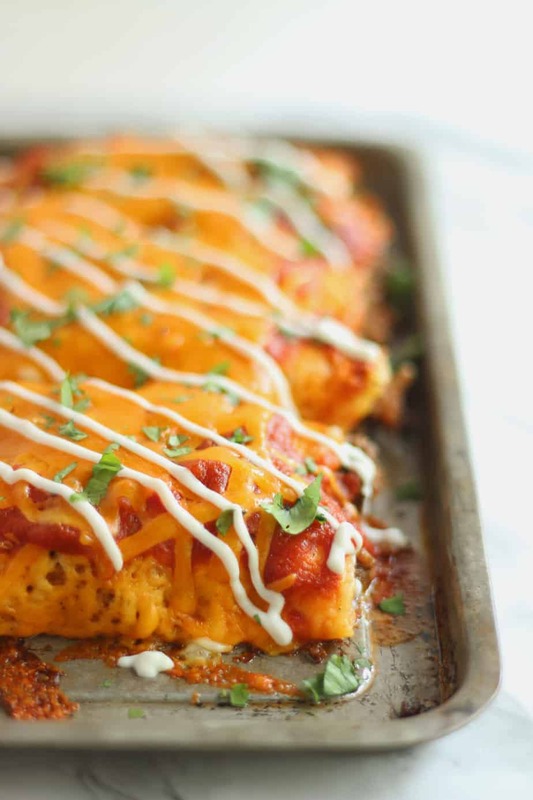 These Delicious Gluten Free & Keto Beef Enchiladas are High in Healthy Fats and Low in Carbs. 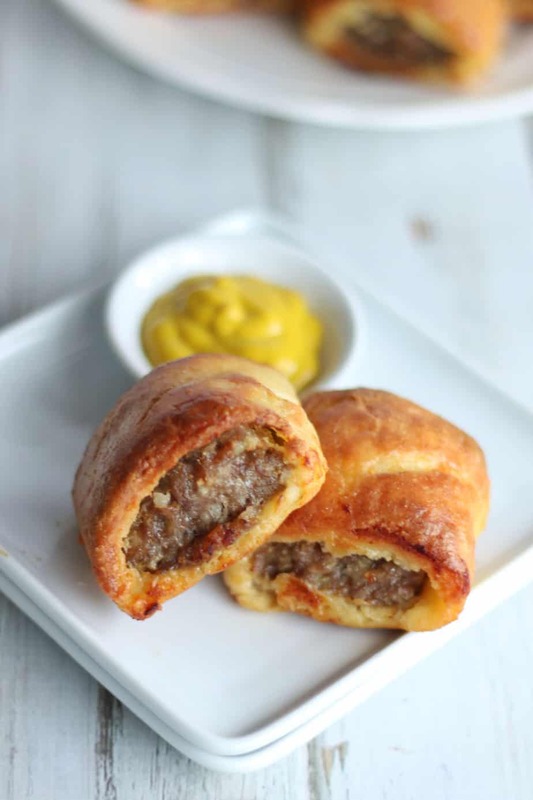 They make a Perfect Make Ahead Meal that can Quickly be Reheated in only a Few Minutes. 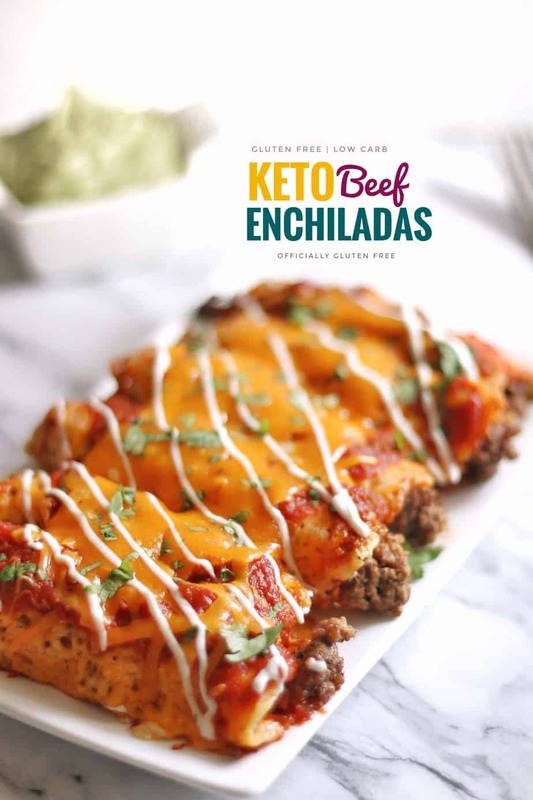 If you love Keto Beef Enchiladas, then you may want to try out these Keto Buffalo Chicken Taquitos too. 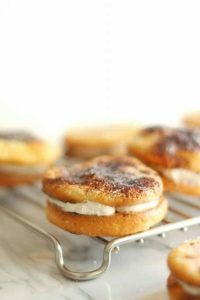 They’re by far my most popular recipe and just happen to be my favourite too. I love how easy these Delicious Low Carb Keto Beef Enchiladas are to Make. Just Brown the beef with the minced onion. 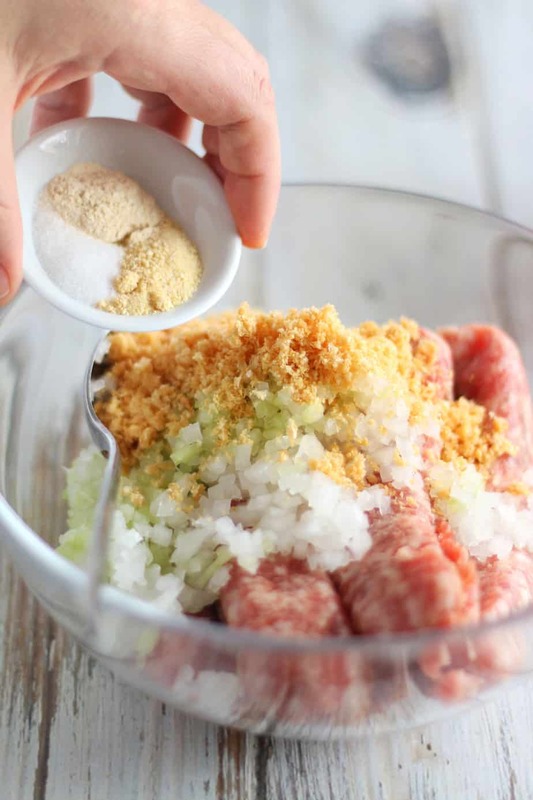 Then mix the cumin, chilli powder, onion and garlic powder and salt and pepper with the water. 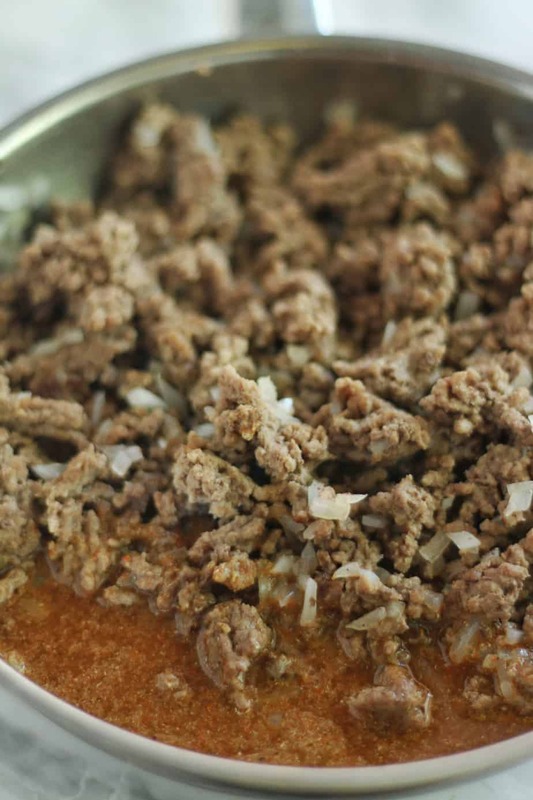 Then pour over the browned ground beef. Let simmer until all the liquid is evaporated. 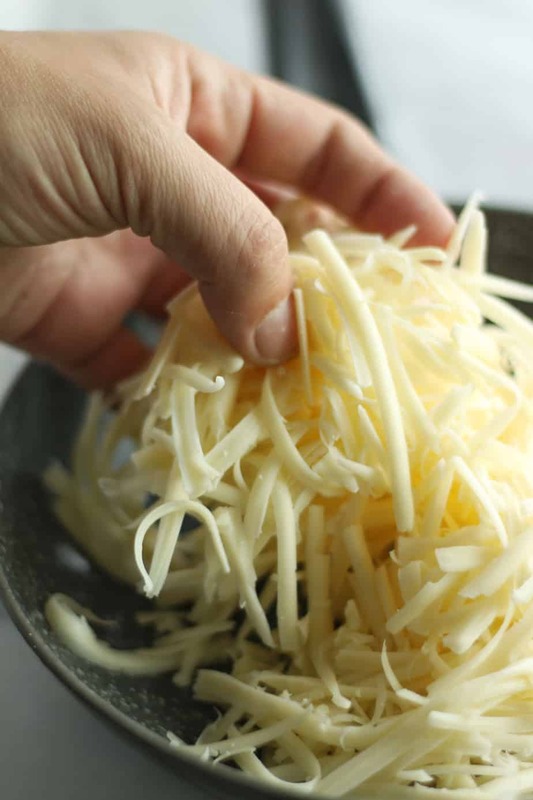 Then mix the cheddar and mozzarella cheeses in a large mixing bowl. 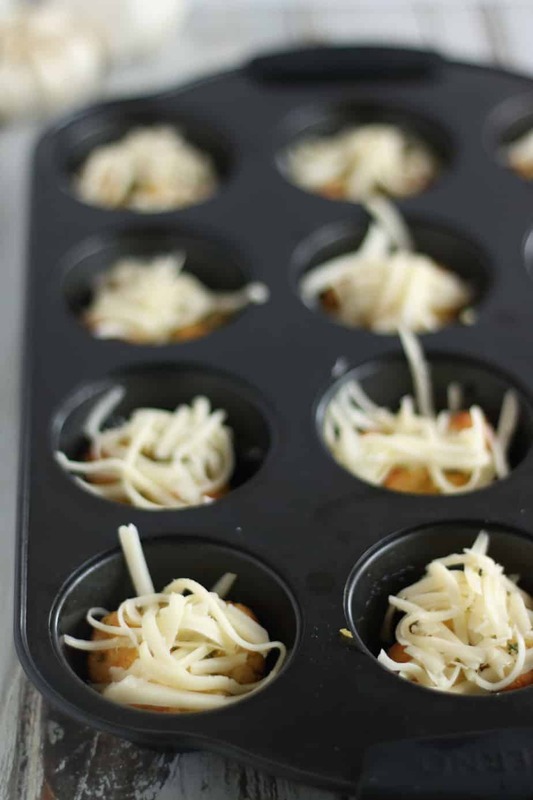 Divide the cheese mixture into 6 then make into balls. 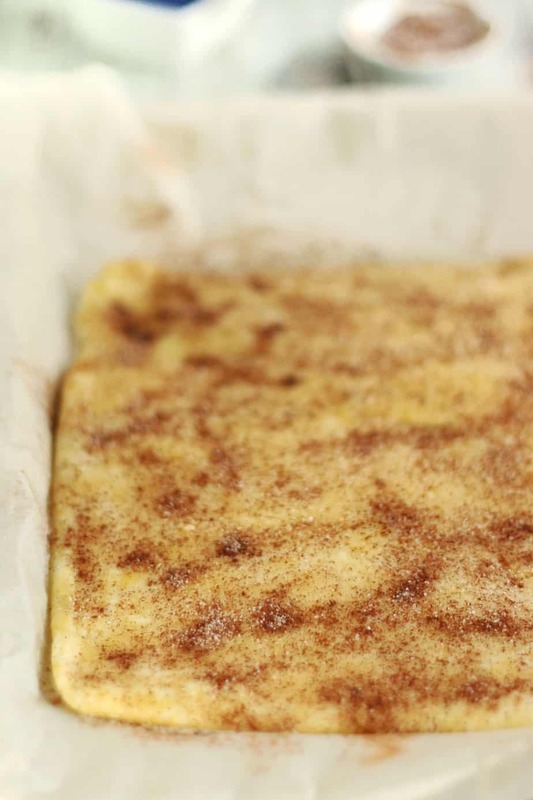 Place onto a parchment paper (Not Waxed Paper) lined baking sheet. 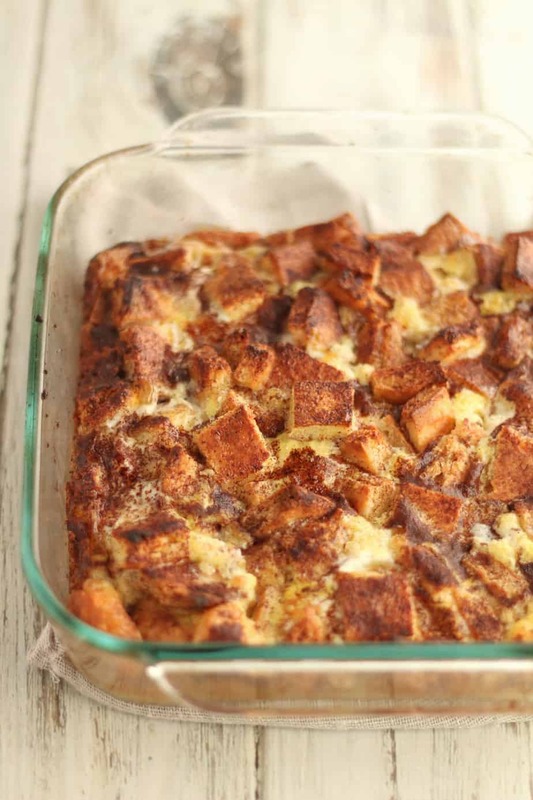 Bake until the edges are golden brown, then flip upside down. Place a few spoonfuls of the beef on the edge of each shell. Tightly roll each one into a cigar shape. 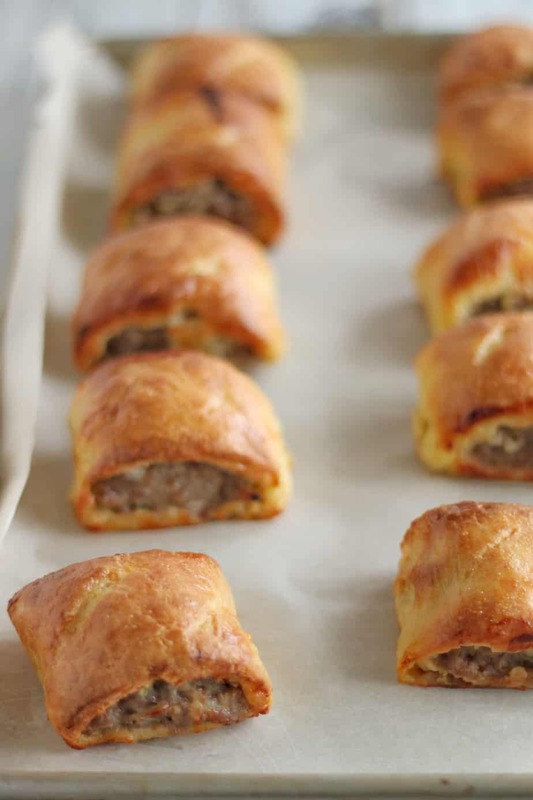 Turn your oven temperature down, then place the cheesy beef rolls in a row on a small baking pan or dish. Then pour the enchiladas sauce evenly over them. 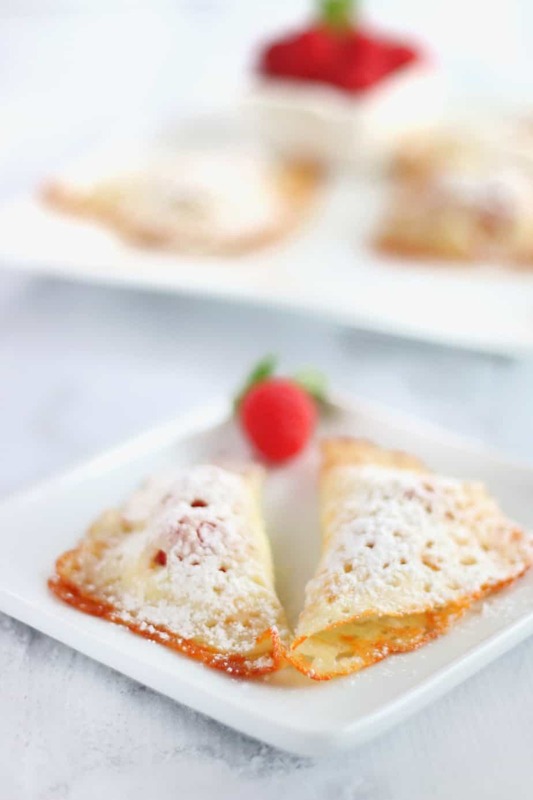 Cover with remaining 1/4 cup of cheddar cheese. 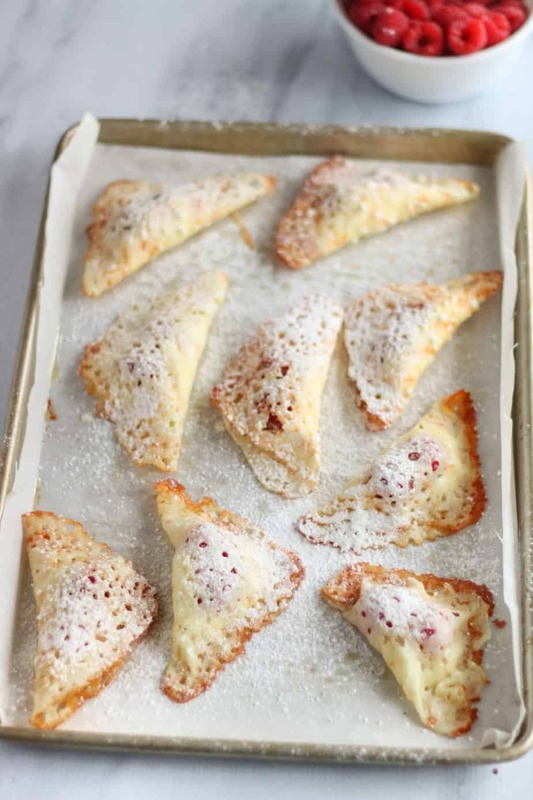 Bake until the cheese on top is melted. Remove from the pan and serve with sour cream and chopped cilantro. 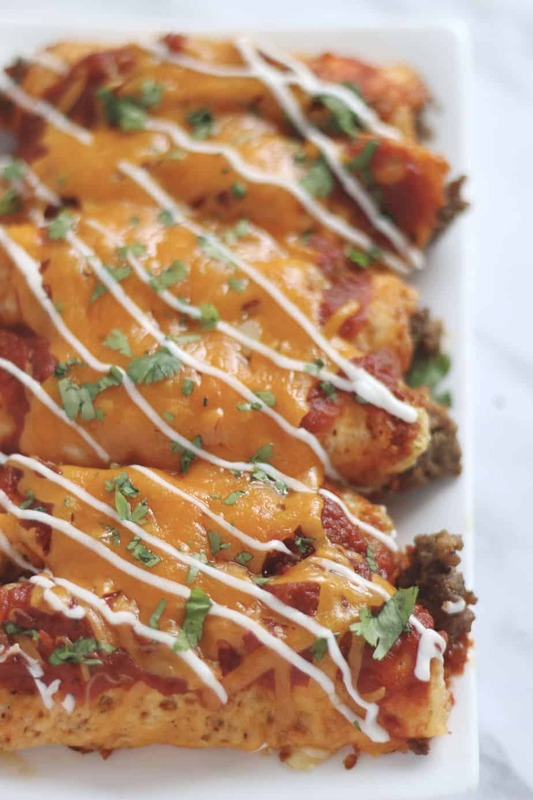 These Keto Beef Enchiladas are loaded with Flavor and provide a nutritious hit of healthy fats. 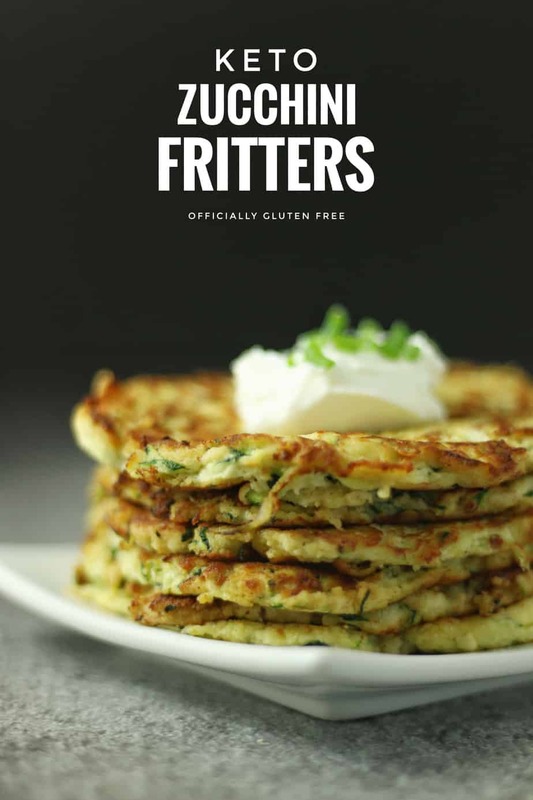 The recipe is best served with a side of sour cream and garnished with chopped fresh Cilantro or Parsley. 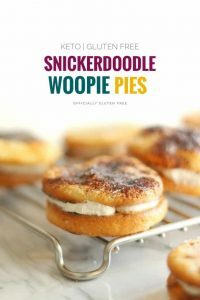 They can be made with many variations. Instead of Beef you could use Chicken with Franks Red or you could add a little cream cheese and or jalapeños. 1. Brown the beef with the minced onion. In a cup mix the cumin, chilli powder, onion and garlic powder and salt and pepper with the water. Then pour over the browned ground beef. 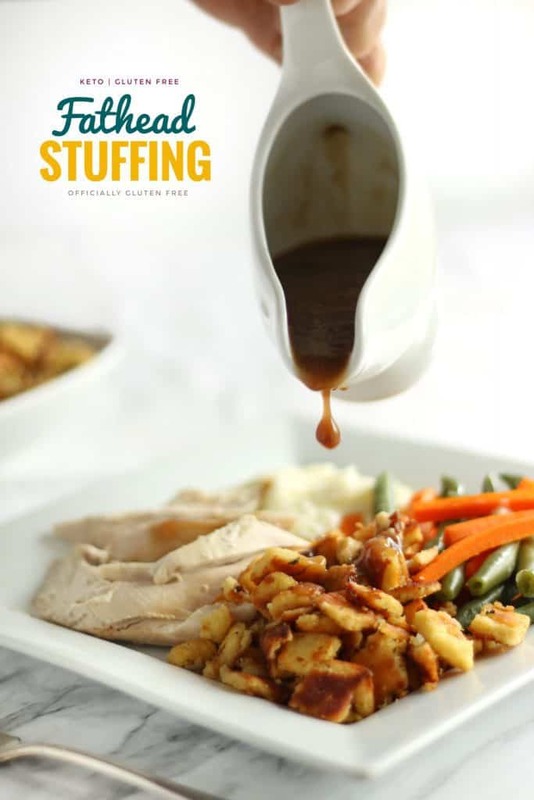 Let simmer for 5 – 10 minutes or until all the liquid is evaporated. Chop the add the pickled jalapeños. Mix until incorporated. 2. In a large mixing bowl, mix 1 1/4 cup of the cheddar and all of the mozzarella cheese. 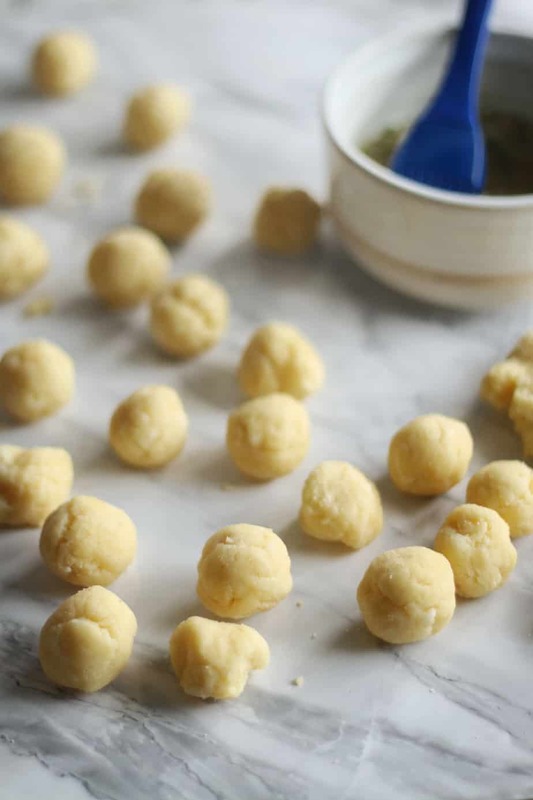 Divide the cheese mixture into 6 then make balls. 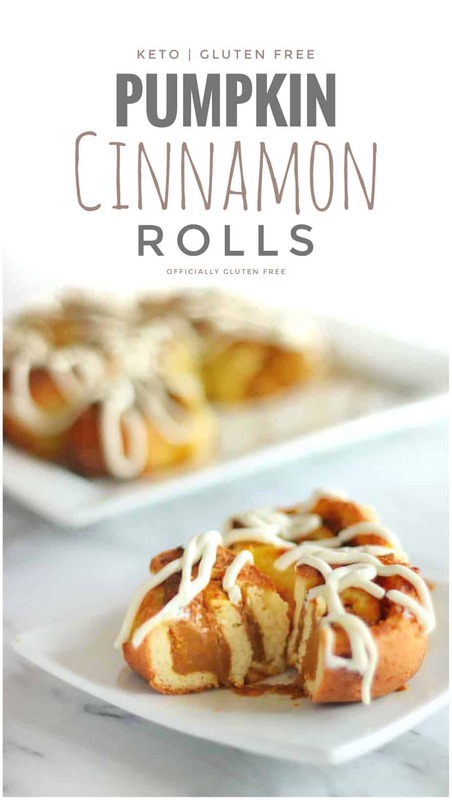 Place onto a parchment paper lined baking sheet. 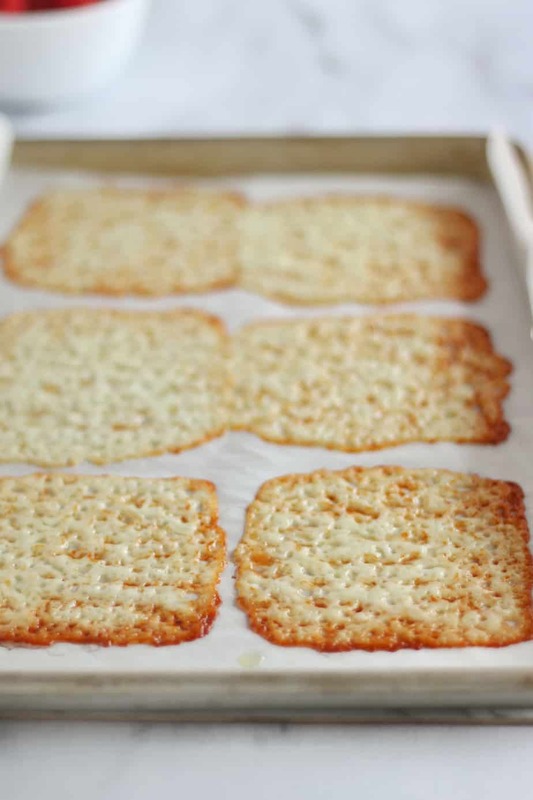 Bake @ 400 F for 6-8 minutes, or until the edges are golden brown. 4. 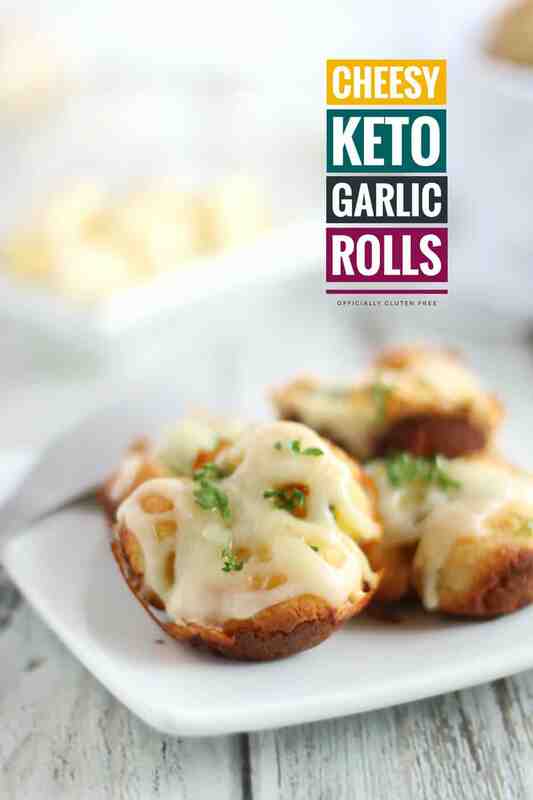 Turn your oven temperature down to 350 F. Place the cheesy beef rolls in a row on a small baking pan or dish. Then pour the enchiladas sauce evenly over them. 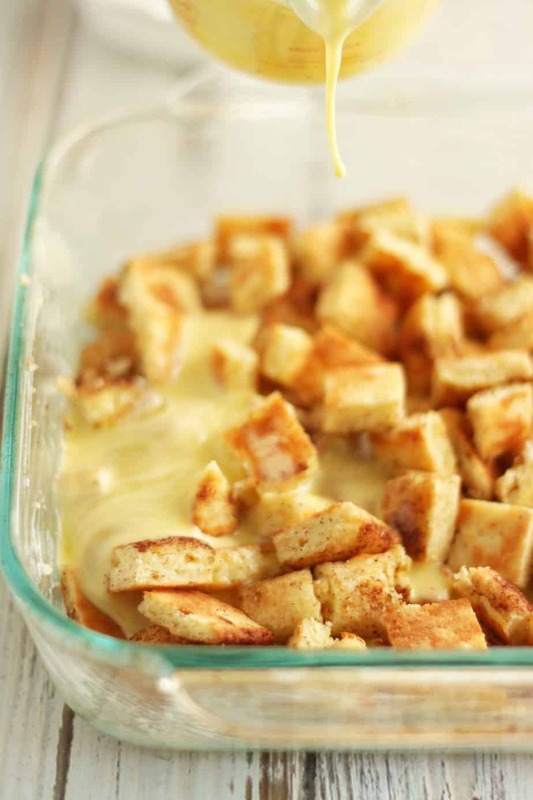 Cover with remaining 1/4 cup of cheddar cheese, then bake for 8 – 10 minutes of until the cheese on top is melted. 5. Remove from the pan and serve with sour cream and chopped cilantro. 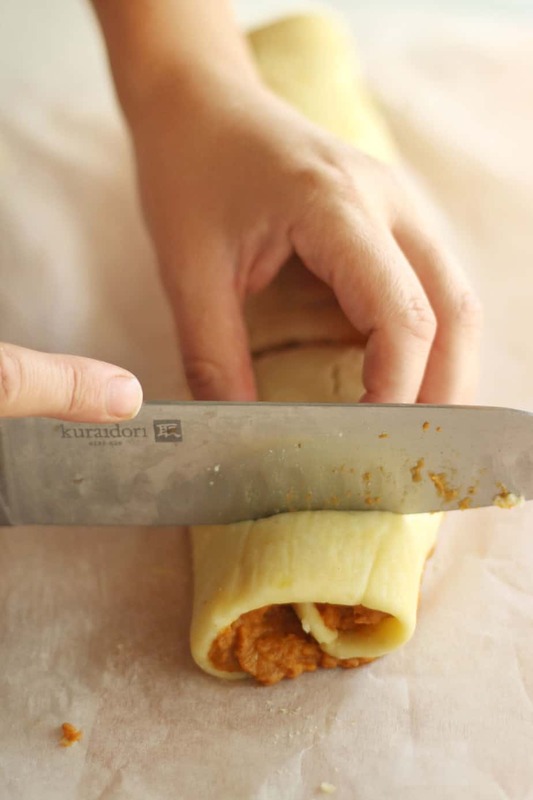 – You must use Parchment Paper, Not Waxed Paper. 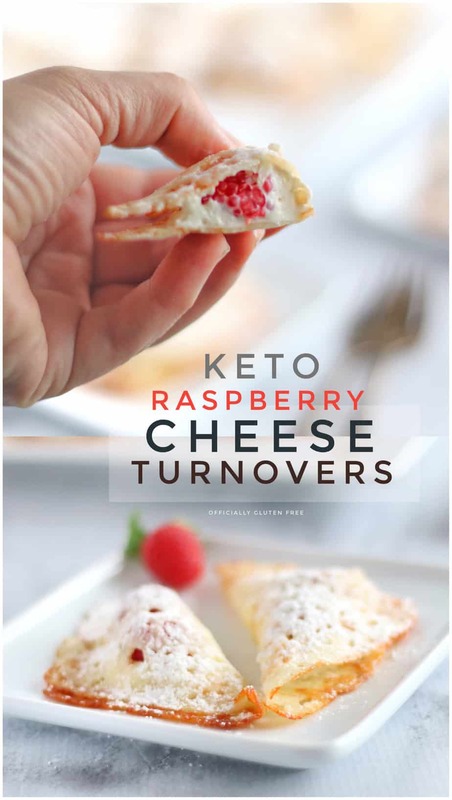 The cheese will stick to waxed paper. 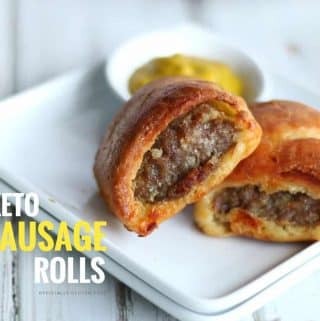 – To make ahead: Roll out the beef and cheese. 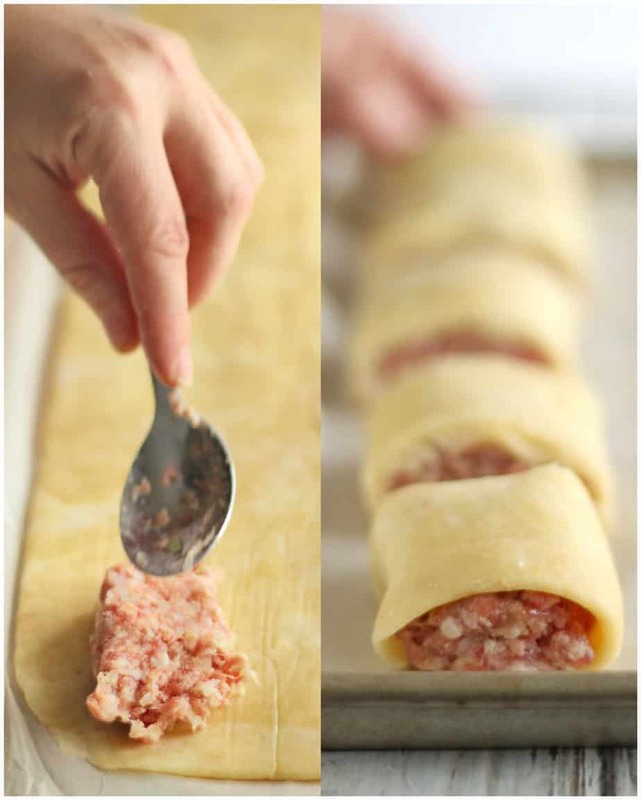 Let cool completely, then store in the fridge or freezer (without any sauce on them). 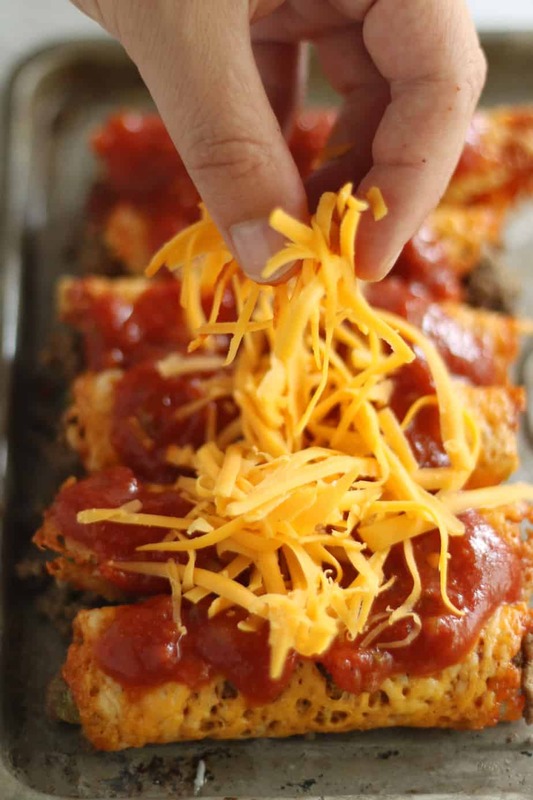 – To reheat, Preheat oven to 350 F. Pour the sauce over then add the cheese. 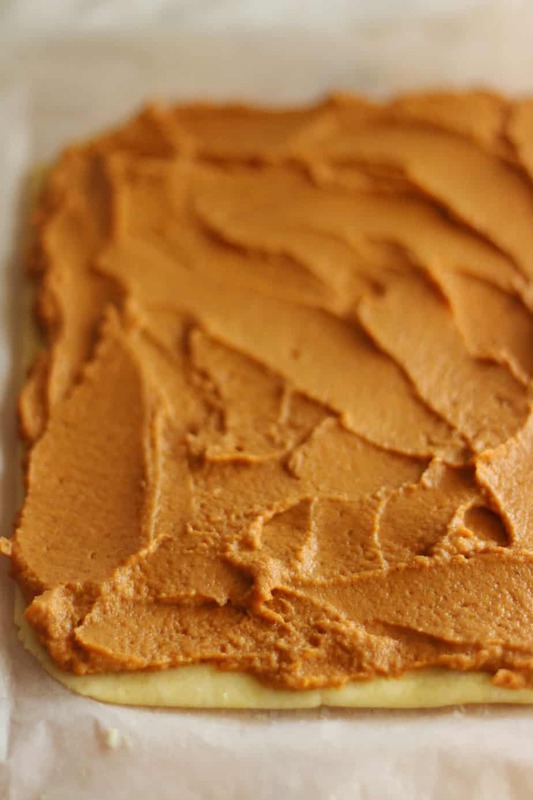 Bake for 8 -10 minutes. 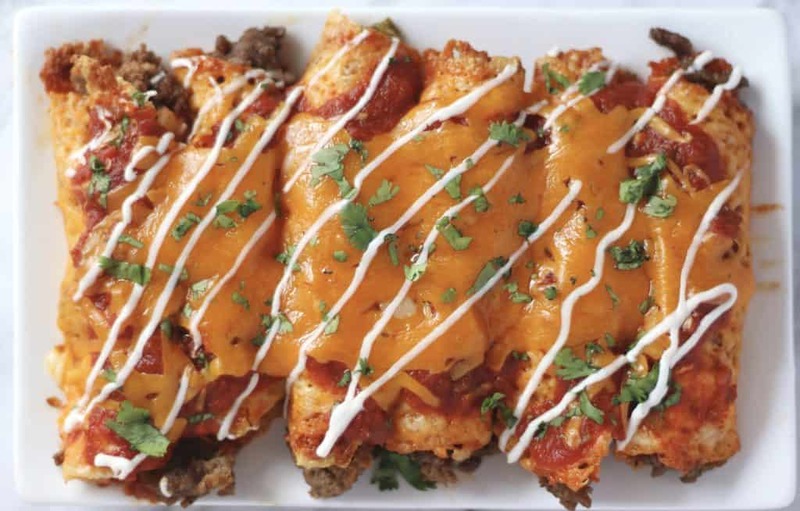 This Keto Beef Enchiladas Recipe Makes 2 Servings. 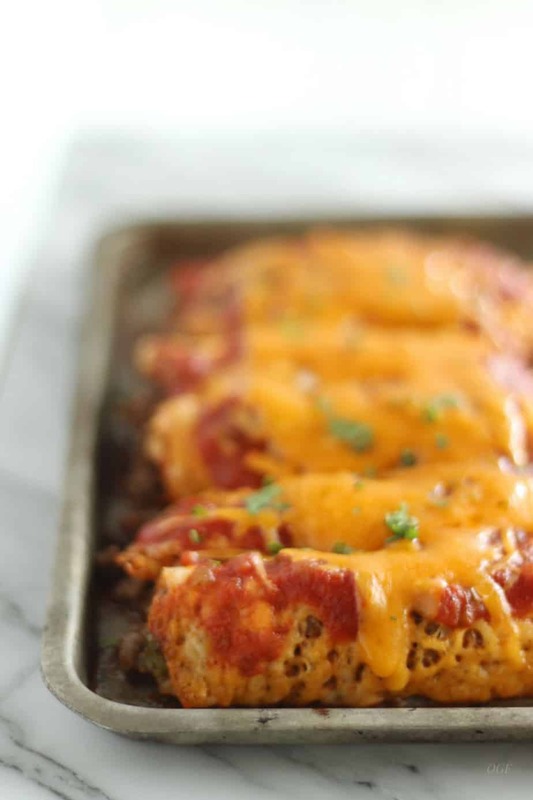 These Delicious Gluten Free & Keto Beef Enchiladas are High in Healthy Fats and Low in Carbs. 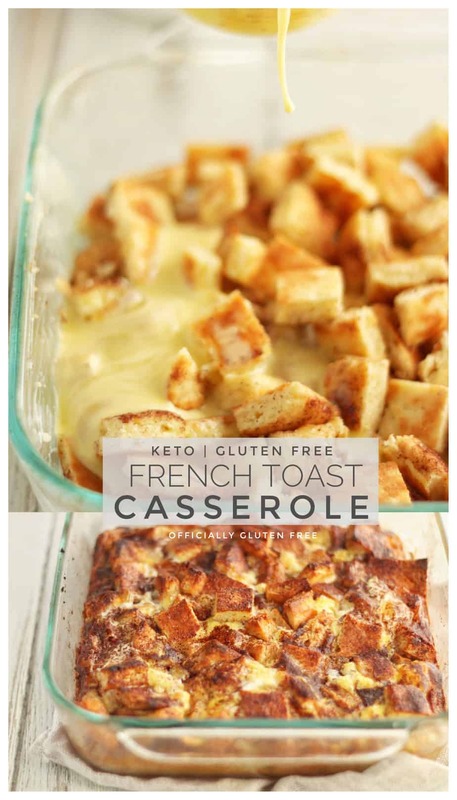 They make a Perfect Make Ahead Meal that can Quickly be Reheated in only a Few Minutes. Brown the beef with the minced onion. In a cup mix the cumin, chilli powder, onion and garlic powder and salt and pepper with the water. Then pour over the browned ground beef. 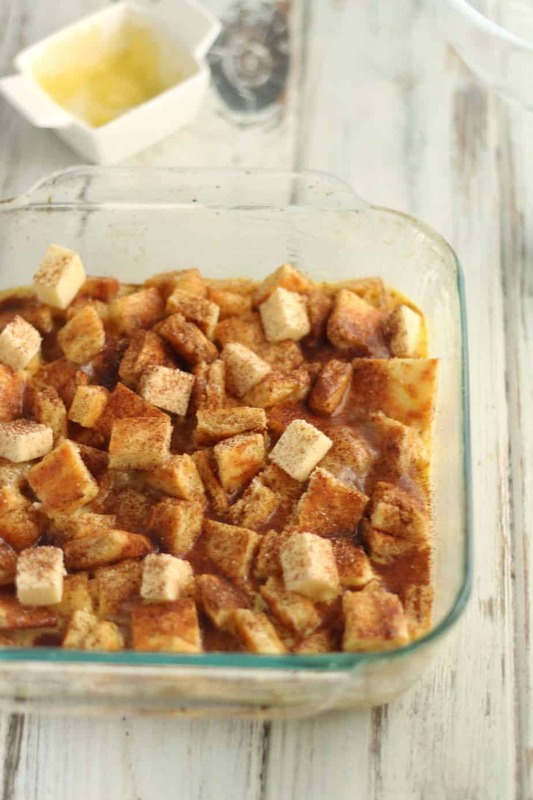 Let simmer for 5 – 10 minutes or until all the liquid is evaporated. Chop the add the pickled jalapeños. Mix until incorporated. 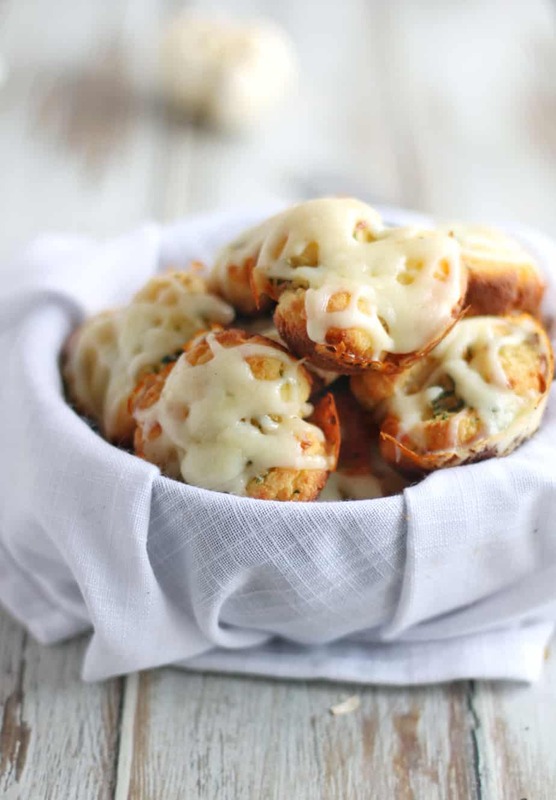 In a large mixing bowl, mix 1¼ cup of the cheddar and all of the mozzarella cheese. 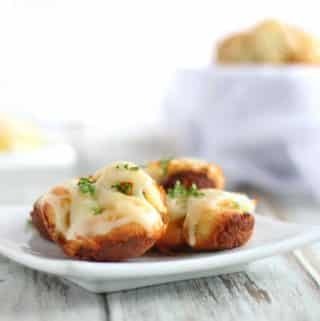 Divide the cheese mixture into 6 then make balls. 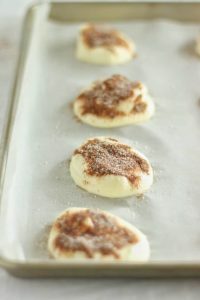 Place onto a parchment paper lined baking sheet. 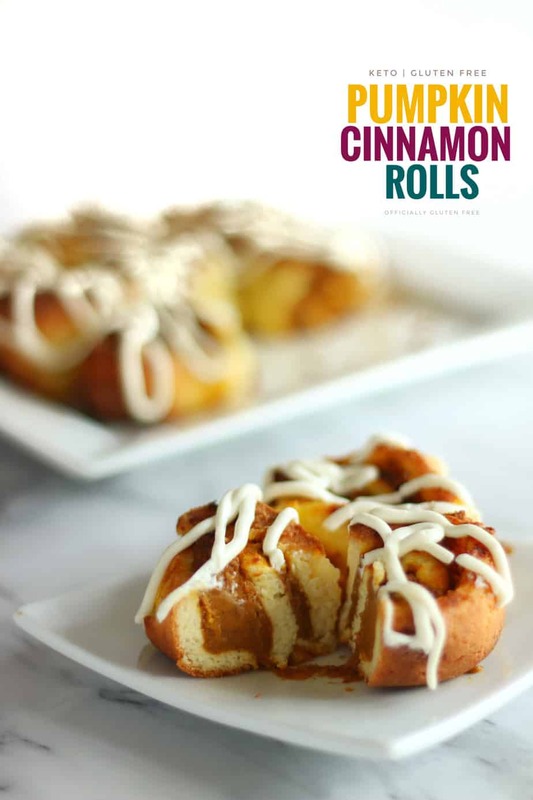 Bake @ 400 F for 6-8 minutes, or until the edges are golden brown. 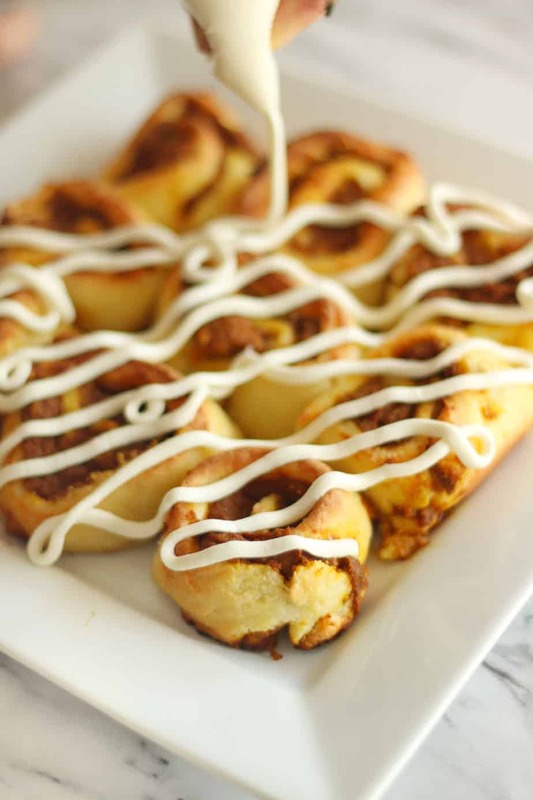 Turn your oven temperature down to 350 F. Place the cheesy beef rolls in a row on a small baking pan or dish. 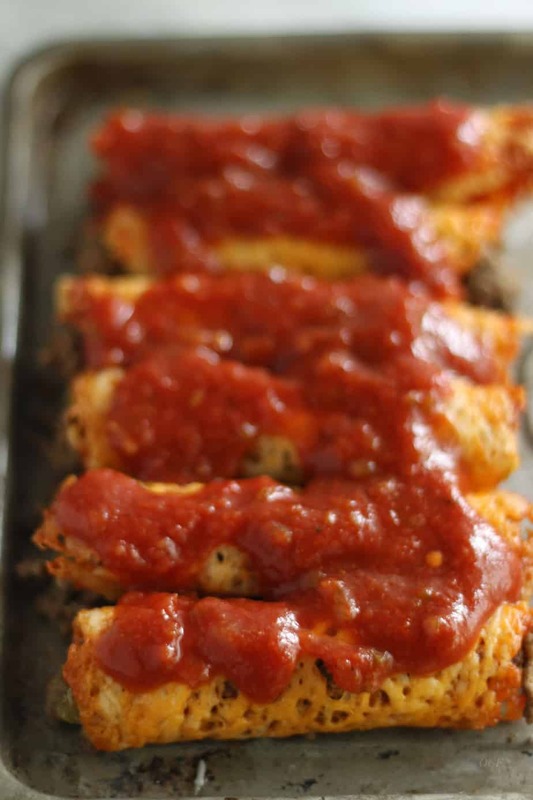 Then pour the enchiladas sauce evenly over them. 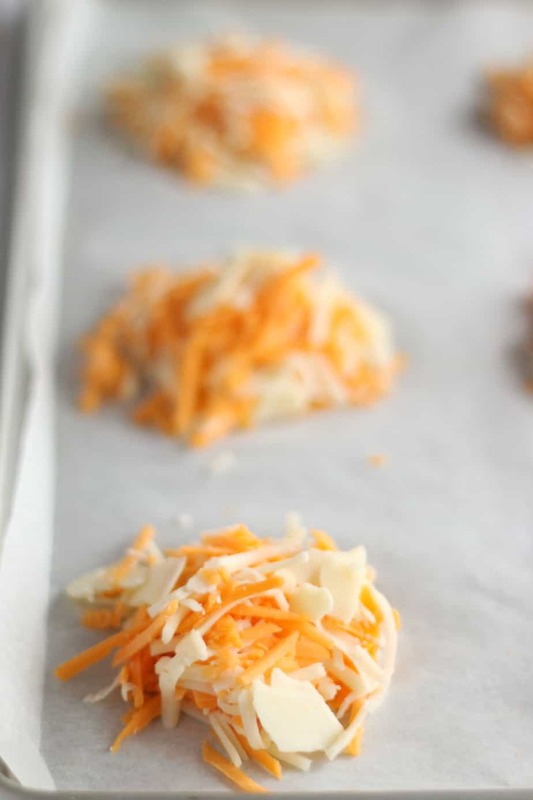 Cover with remaining ¼ cup of cheddar cheese, then bake for 8 - 10 minutes of until the cheese on top is melted. Remove from the pan and serve with sour cream and chopped cilantro.